Welcome to my virtual classroom! 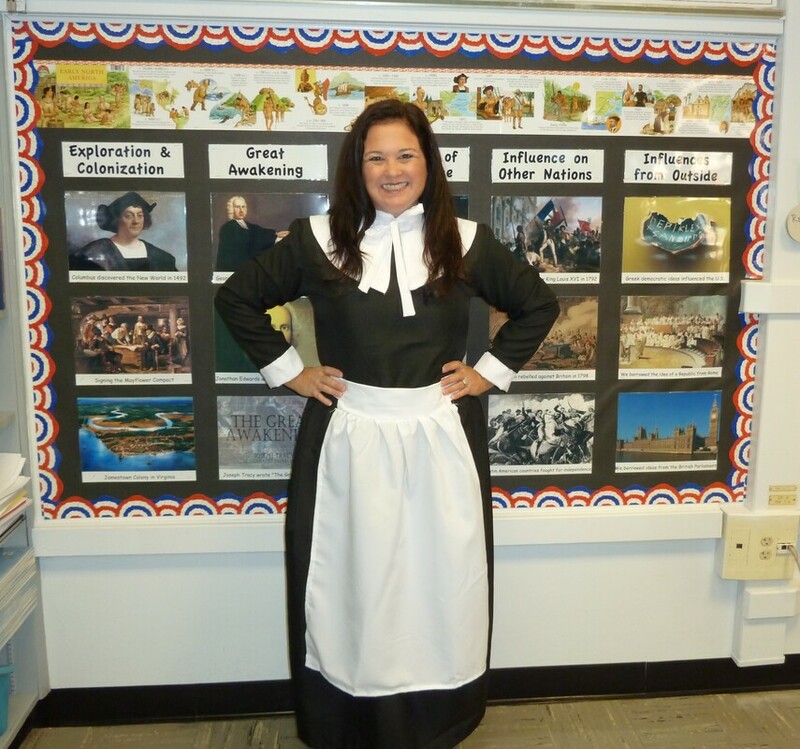 8th Graders I am so excited to be your tour guide on our adventure through U.S. history this year! This website will be an invaluable tool for you so be sure to save it to your favorites. 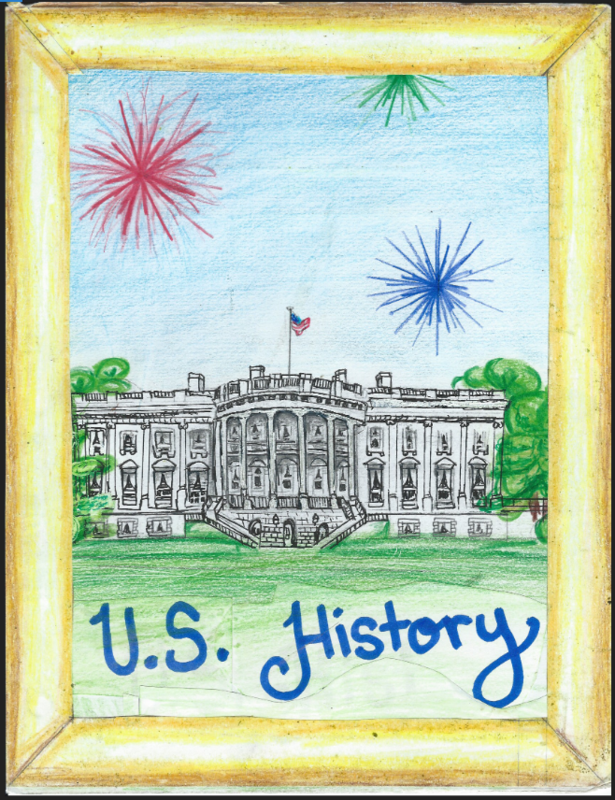 I recommend spending at least 30 minutes a week exploring the links to games, information, pictures, videos and interactive websites related to the social studies standards we will cover in order to deepen your knowledge and understanding of our country's history. Sixth Graders Click on the "More" button on the menu at the top of the page and you can find the links to all of the super fun units you'll cover in Social Studies this year. Feel free to let me know if you find a great new site I should add :). Global Issues Elective We are not offering Global Issues this year, but if you're interested in finding out about the key issues people and the planet are facing, click on the "More" button on the menu at the top of the page. You'll see a link to the Global Issues page, which has hundred of links organized by topic. Great stuff! Visit Redd Social Studies's profile on Pinterest. SLAVERY The content we covered last week as well as this Monday and Tuesday is the most difficult for me to teach, but possibly the most important information we will cover this year. In order to understand why our country divided and went to war, we must fully explore the issue of slavery. In my opinion, the best way to do that is through primary sources. It will be difficult to see and read about the violence and dehumanization done to the slaves, and if at any time you feel uncomfortable, you are welcome to slip out and go to Mrs. Pearson's room. MONDAY We'll continue watching 12 Years A Slave. For homework, you will write your Slavery Reflection Paragraph describing your thoughts and feelings on slavery in America after having read and seen the Slavery Primary Sources and 12 Years A Slave. TUESDAY Today we'll finish 12 Years A Slave and have a class discussion about slavery and its long-term impact on American society. 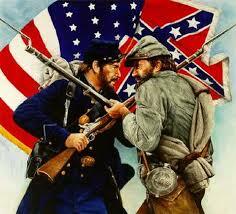 WEDNESDAY It's time to master the vocabulary related to the Civil War. We will go through the Civil War Vocab Google Slides and discuss the meaning of each word and it's role in the story of the Civil War. Tonight you will fill in the definitions, pictures and sentences on your Civil War Vocabulary sheet. THURSDAY You will use the online SAS Curriculum Pathways lesson on Causes of the Civil War to answer the questions given to you in class. By the end of the period, you should clearly understand the key events that led up to the Civil War. FRIDAY ​Today we'll review what you learned yesterday by completing the Civil War Mulit-Flow Map in teams. Then you will label all of the of the states that were part of the Union when the Civil War began. You will color the Union states dark blue, border states light blue, and Confederate states gray. This map will be on your benchmark at the end of the unit. Below is a sample. SLAVERY The content we will cover this week and next week is the most difficult for me to teach, but possibly the most important information we will cover this year. In order to understand why our country divided and went to war, we must fully explore the issue of slavery. In my opinion, the best way to do that is through primary sources. It will be difficult to see and read about the violence and dehumanization done to the slaves, and if at any time you feel uncomfortable, you are welcome to slip out and go to Mrs. Pearson's room. MONDAY North and South Notes: We'll learn about the VAST differences in the economies, populations, as well as how people lived in the North and South prior to the Civil War. These are all things that contributed to the war and helped determine the outcome. 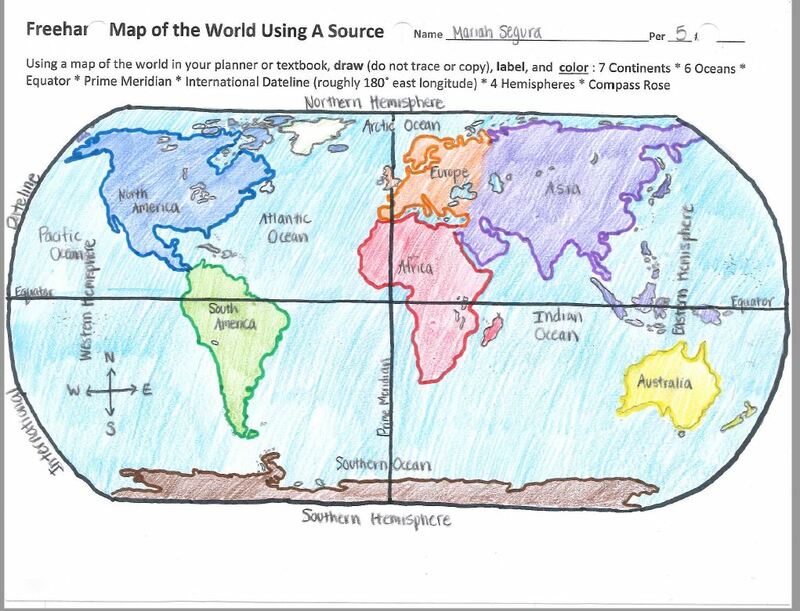 For homework, you'll answer the questions on the back of your Worlds of North & South Notes. TUESDAY Today we'll explore the definitions of racism, discrimination, segregation and oppression. Then you'll work on Lesson 5.3 Textbook Notes King Cotton & Life in the South. This chapter focuses on slavery and the ways slaves were kept under control. 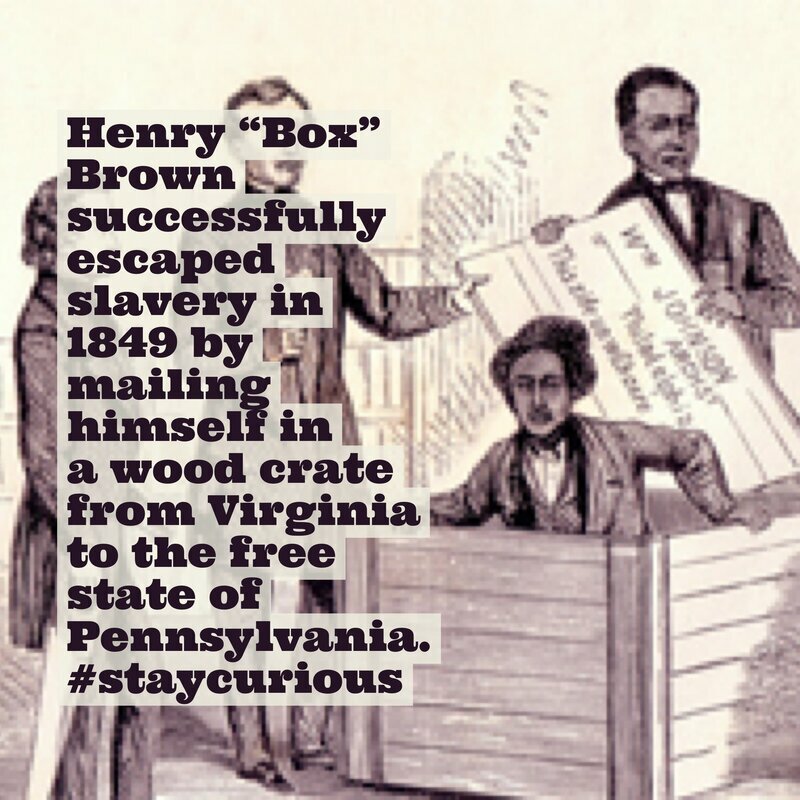 WEDNESDAY & THURSDAY We will spend these two days focusing on primary sources related to slavery. One of the most important of these sources is the video produced by HBO presenting the Slave Narratives. We will watch an edited version of these stories told by the last living slaves and read by African American actors. We will also read several of the laws passed in southern states that required violence to slaves. Then we'll read some first-hand accounts of the brutality of slavery from Theodore Weld's book, American Slavery as It Is. Thursday you will write a short argument using evidence from your primary sources. These will be two difficult, but important days that will set the stage for us as we learn about the Civil War and Reconstruction. FRIDAY We'll begin watching an EDITED version of the movie 12 Years A Slave. You will take notes for the explanatory paragraph that you'll write Tuesday night. It's 4th Quarter!! Only 11 weeks of school left! Time to kick it into high gear :). MONDAY In class we will go through our Lesson 5.5 Era of Reform Vocab Google Slides, which will give you a good overview to the reform movements that took place in the mid-1800s. You'll complete your Lesson 5.5 Vocab for homework. 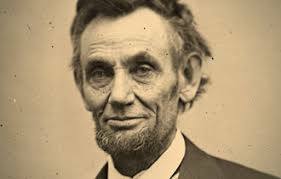 TUESDAY Today we will learn about the U.S. Presidents who ran the show just prior to and during the Civil War. 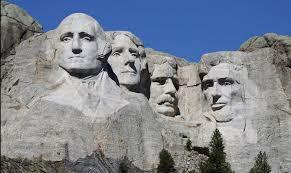 They include Zachary Taylor, Millard Fillmore, Franklin Pierce, James Buchanan and Abraham Lincoln. You will take notes on the Disney Presidents video for each of these leaders. 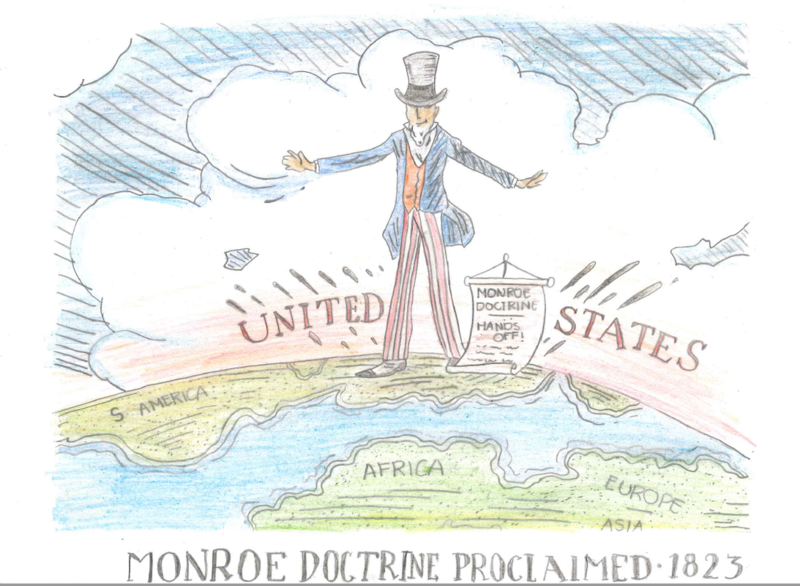 WEDNESDAY Today we will go through our Era of Reform PowerPoint and learn about the various reform movements of the 1800s in more depth and some of the amazing people who stood up and made the world a better place. 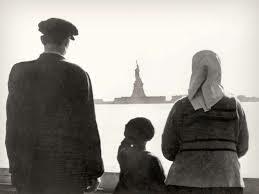 THURSDAY We'll finish up our Era of Reform PowerPoint and dive into America Story of Us: Division. Tonight, plan to attend Future Frosh Night at your future high school. Be sure to bring your parents and your registration packet. 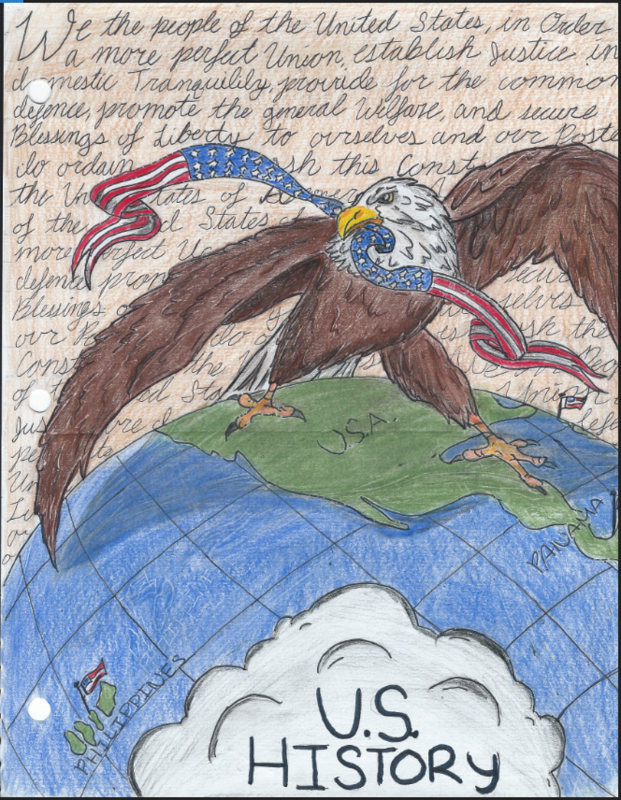 FRIDAY Today we'll finish up America Story of Us: Division and choose two topics for which we'll plan out arguments (claim, three pieces of evidence and snap). ​We have Parent Conferences all week after school so you'll be dismissed at 1:30pm every day. 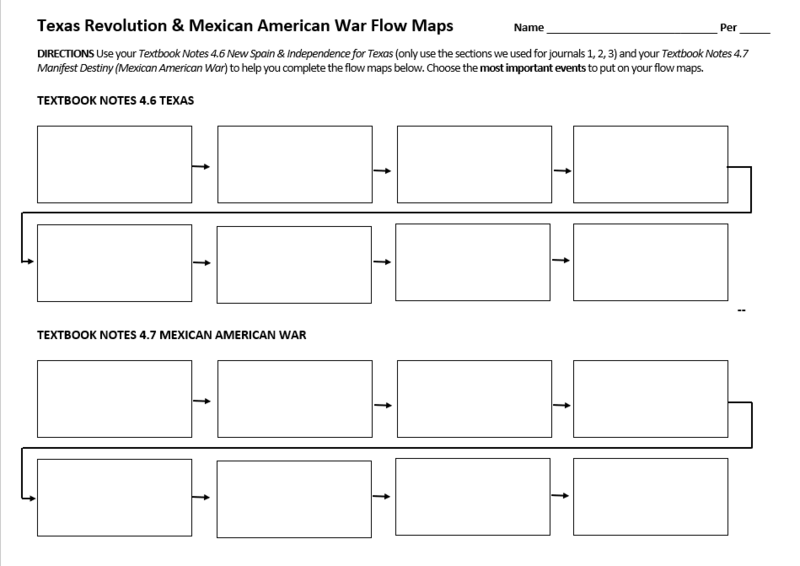 MONDAY We'll begin reviewing for Wednesday's Westward Movement Benchmark by working on our Texas Revolution & Mexican American War Flow Maps! TUESDAY Use your Westward Movement Benchmark Review & come prepared for the Review Game! WEDNESDAY You'll take the Westward Movement Benchmark. All missing assignments for this unit must be turned in by the end of the day on FRIDAY. 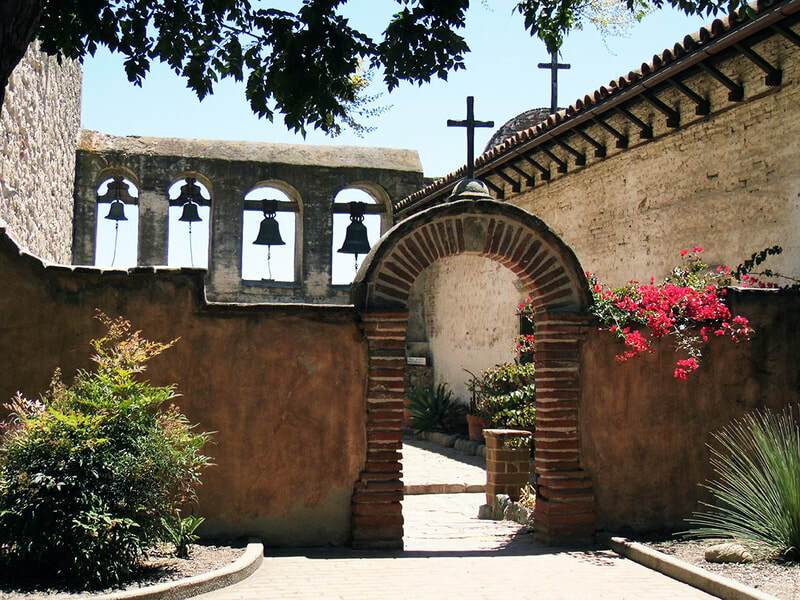 THURSDAY & FRIDAY We'll learn all about the contributions of Los Mexicanos to American culture. This is one of my favorite lessons! 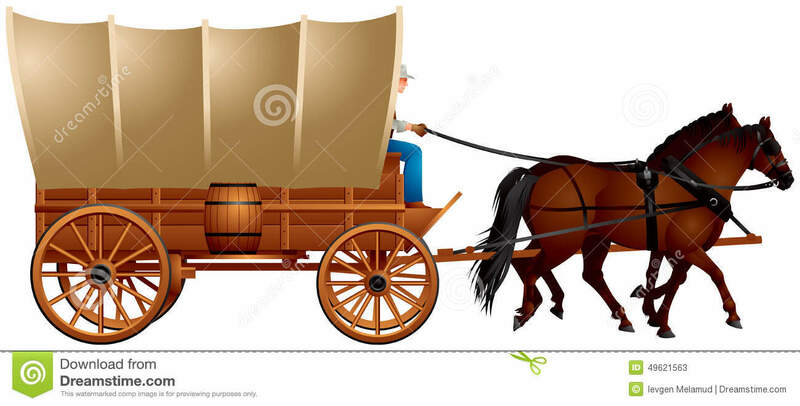 MONDAY We'll read information and answer questions about the challenges faced by the pioneers who headed west in wagon trains. 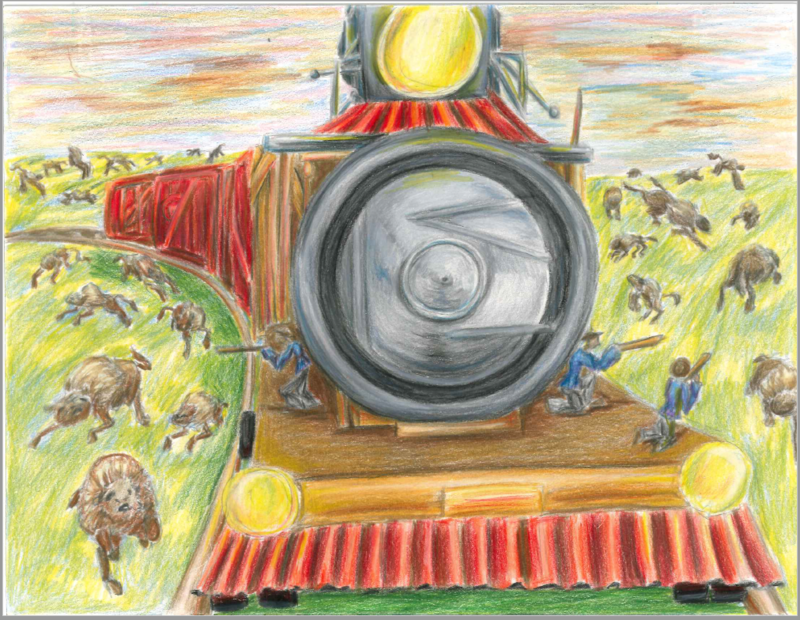 Click here to get to the Oregon Trail on the Britannica website. If you finish early, play the original Oregon Trail Game! 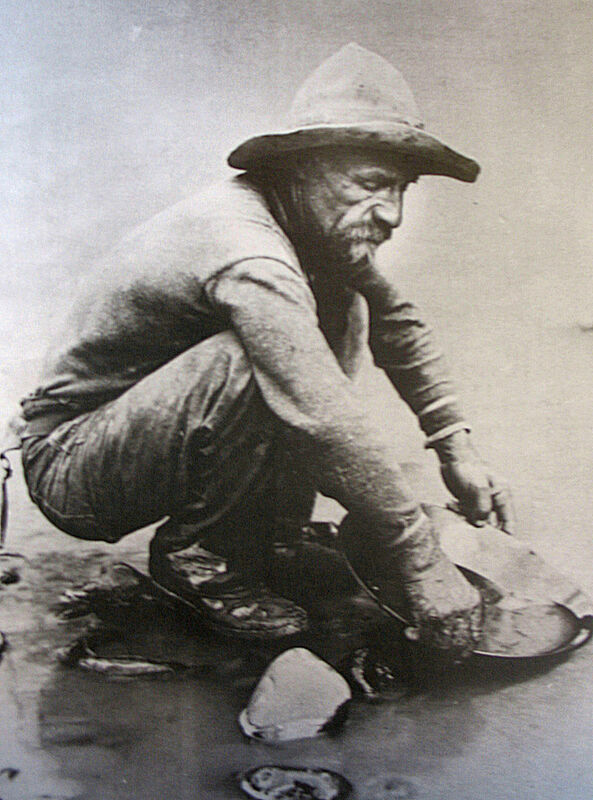 TUESDAY It's time for the Gold Rush! We'll watch part of a PBS documentary and take notes on all of the crazy things that went on in the Wild Wild West! 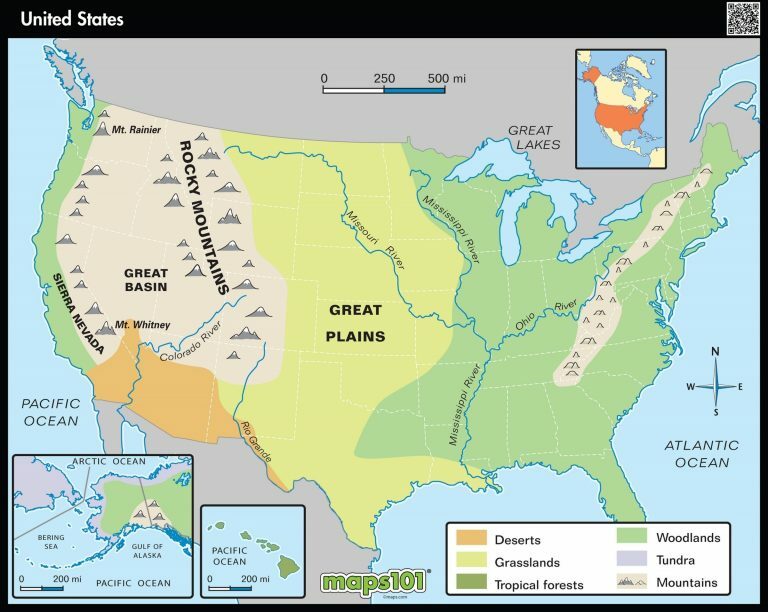 WEDNESDAY Today we'll learn about the Mexican-American War by working on our Textbook Notes Lesson 4.7 Manifest Destiny. THURSDAY Today we'll use our Textbook Notes Lesson 4.7 Manifest Destiny to write a narrative about the Mexican American War from the perspective of General Santa Anna, James K. Polk, an American soldier or a Mexican soldier. FRIDAY We'll learn about the development of the Mormon Church by answering questions using an interactive map on PBS' website. 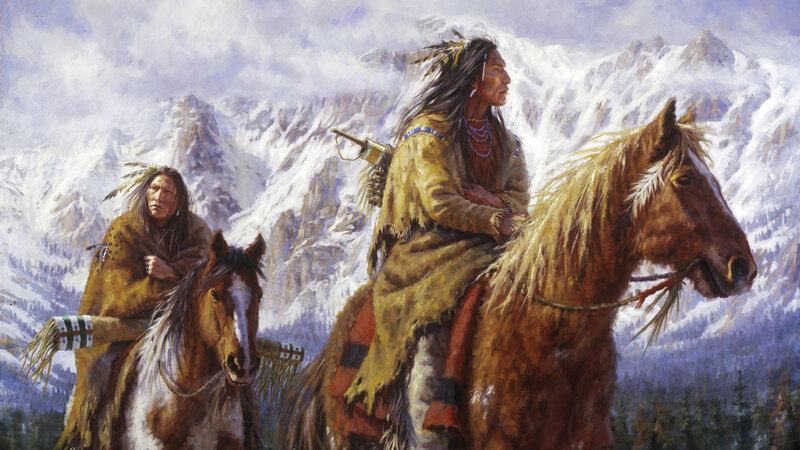 MONDAY Today we'll start taking notes on National Geographic's Lewis & Clark docudrama. You will use these notes to write a narrative tomorrow night. 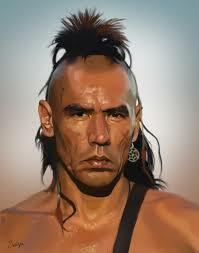 TUESDAY We'll finish the Lewis and Clark docudrama in class today. Choose 2-3 sections of your notes to compose journal entries about. 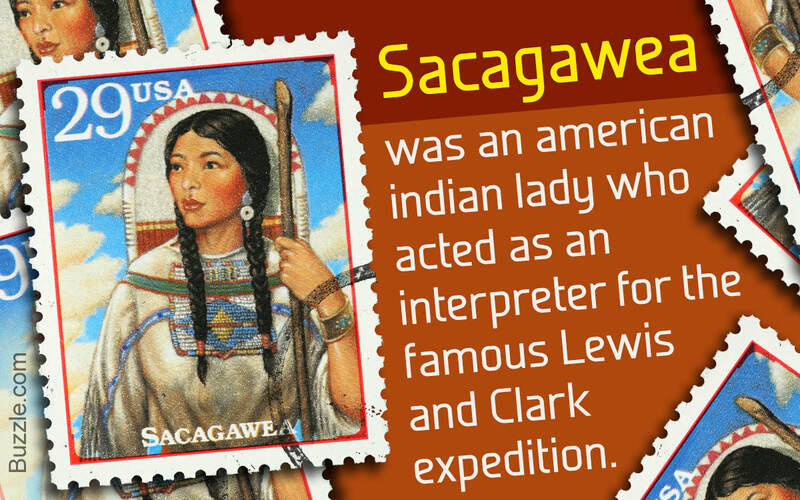 You'll write from the perspective of Meriwether Lewis, William Clark, Sacajawea or York (Clark's slave). Be sure to include LOTS of factual information from the movie and the Lewis & Clark Notes as well as TONS of description. WEDNESDAY Today we'll watch The Texas Revolution video and then work on your Textbook Notes for Lesson 4.6 Be sure to write down key information that will help you write a believable narrative tomorrow. 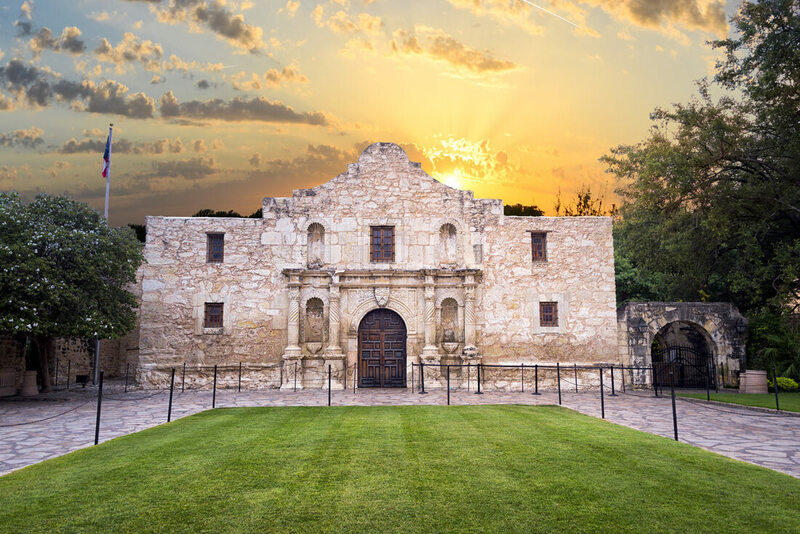 THURSDAY We'll learn about the geography of Texas by watching the Texas Tourism video below. We'll compare and contrast east and west Texas with a Double Bubble Map. In teams, you'll make a Bubble Map in teams to start brainstorming adjectives to describe Texas that you can use in your narrative. Using your textbook notes, you'll write the Texas Revolution Narrative #1 as one of the Old 300. FRIDAY You'll write Texas Revolution Narratives #2 & #3 using your Textbook Notes. Be sure to include lots of detail and description! MONDAY Sleep in and watch a documentary about a president :). TUESDAY Today we'll go through Lesson 4.5 Vocab Settling Oregon Country Google Slides and then you'll complete the vocab for homework. Below are some sample pictures. WEDNESDAY I'll be at the district office for the last Thinking Maps writing training. You will go through Lesson 4.4 Vocab Westward Movement Google Slides and then you'll complete the vocab for homework. THURSDAY It's field trip day! Pick up your lunch at the cafeteria and report to your homeroom class (Video Production & ASB, report to Period 2 for attendance & then go to your homeroom). We'll hop on the bus and head over to the La Mirada Performing Arts to see a play based on The Outsiders. FRIDAY Today we'll discuss the play and write our Field Trip Reflections. WESTWARD MOVEMENT UNIT That's right, cowboys, we're starting our unit on the Wild Wild West! 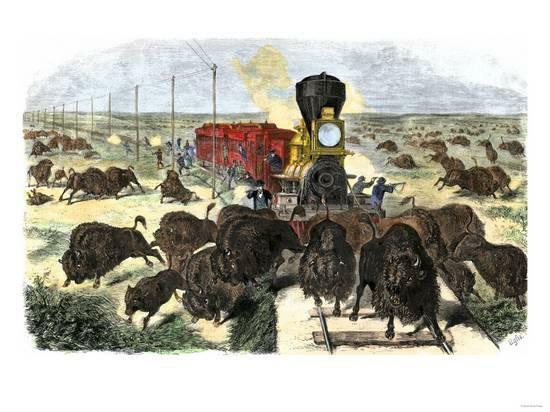 Hold onto your hats as we cross the continent in covered wagons, dig for gold, and go to war with Mexico. We will use what we learn about the Texas Revolution, Mexican-American War, pioneers, Gold Rush, mountain men, Lewis and Clark, etc. to write historical narratives. Our goal is to become rock star narrative writers by including key historical details from what we learn to make it sound believable as well as vivid descriptions that will make our readers think we were there! 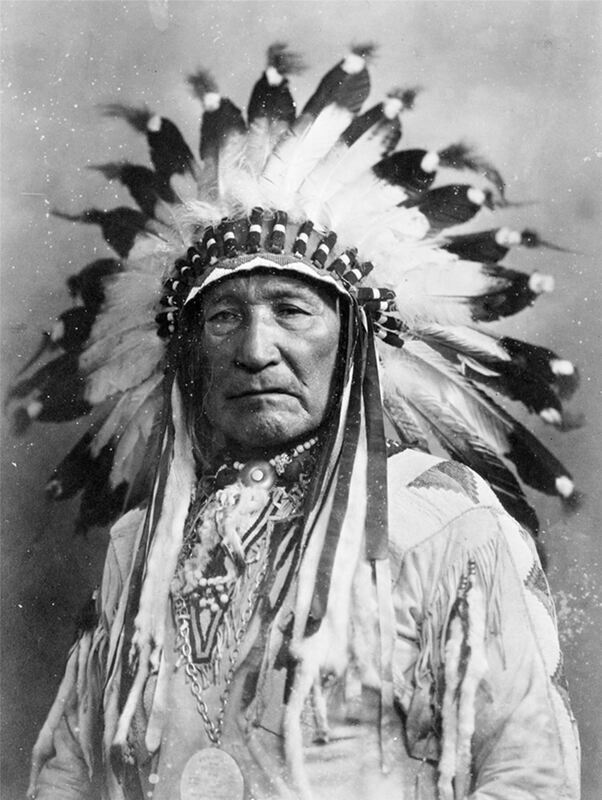 Social Studies Standard for this week: 8.8.2 Describe the purpose, challenges, and economic incentives associated with westward expansion, including the concept of Manifest Destiny (e.g., the Lewis and Clark expedition, accounts of the removal of Indians, the Cherokees' "Trail of Tears," settlement of the Great Plains) and the territorial acquisitions that spanned numerous decades. MONDAY Sleep in and celebrate Abraham Lincoln's birthday!! TUESDAY Today we will take a pop quiz on Argument Writing. 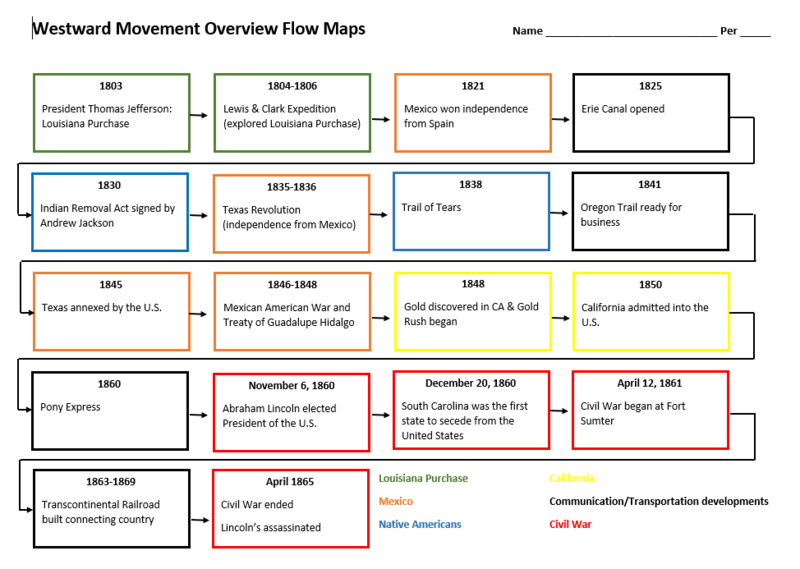 Then we'll activate your prior learning from 5th grade social studies as we complete a flow map introducing the major events that occurred during the Westward Movement. Hang on to this because you'll want to have it to study when the benchmark rolls around. ​WEDNESDAY Today we'll color code our flow map and watch the Disney Presidents 8-11. 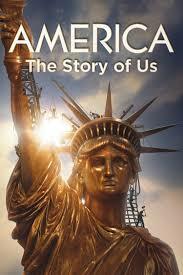 We'll learn about how each portion of our country was added and who we got the land from by completing our Map of the Expanding U.S.
THURSDAY Today we'll start watching America Story of Us: Westward. 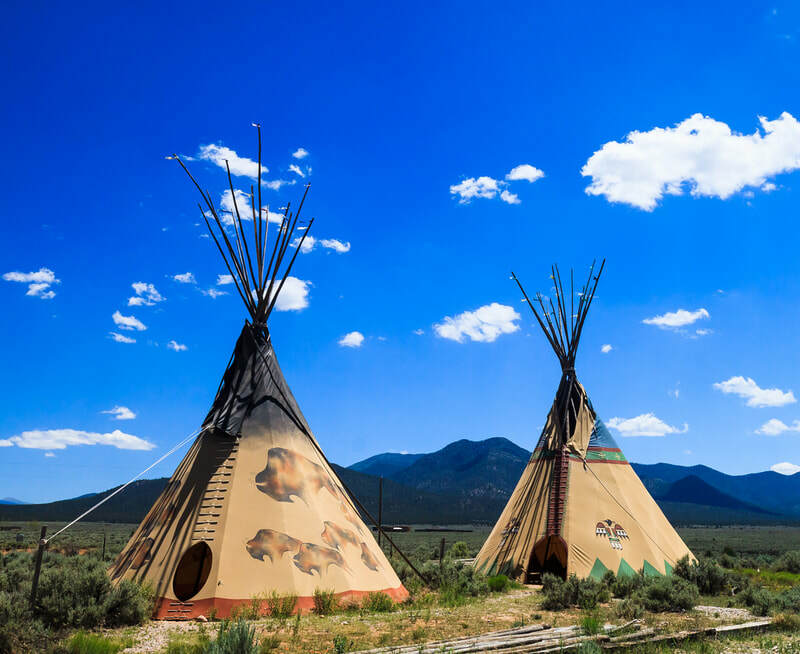 History Channel did us a HUGE favor by focusing on the challenges and incentives of those who headed out west, which is exactly what HSS Standard 8.8.2 says we're supposed to learn about! Bonus! Be sure to take detailed notes because you will use them to write two short narratives. If you were absent today, watch from the beginning up through the 23 minute mark. Be sure to take lots of notes on each section so that you'll have plenty of information to use in your narrative. 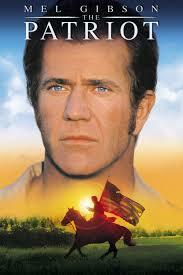 FRIDAY We'll finish watching and taking notes on America Story of Us: Westward. ​A New Nation Unit Common Core Writing Standard 3: Write arguments to support claims with clear reasons and relevant evidence. For this unit, we will write several argument essays and talk through all of the ins-and-outs of choosing strong evidence and writing a rock solid argument. Be sure to refer to the Argument section in your Reading & Writing Resources packet OFTEN. It will be a great help to you. MONDAY Today we will evaluate our sources related to Andrew Jackson's Indian Removal Policy, complete our Evidence Charts, decide which side has the strongest evidence and choose the three strongest pieces of evidence from that side. TUESDAY You'll complete your Cherokee Removal Argument Template. Remember, the more time you put into having a great template, the easier your essay will be to write! In addition, you will have a MUCH stronger essay if it is well-planned out. WEDNESDAY You'll write paragraphs 1-4 of your essay. Be sure to use your highest level vocab, transition words and follow your template! THURSDAY Your goal is to get paragraphs 4-6 written in class so that you just have to highlight and extract for homework. Be sure to highlight using the ARGUMENT highlight set. MONDAY Today we'll debate which side has the most evidence and which evidence is the strongest. Once you have decided on your position, you'll start working on your War of 1812 Argument Template in class and finish it for homework. 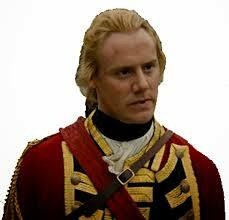 ​Remember, if you missed class on Thursday, you will need to watch sections 1-3 of the War of 1812 movie. If you were absent on Friday, you will need to watch sections 4-10 (skip 5 & 8) and complete your War of 1812 Evidence Chart. 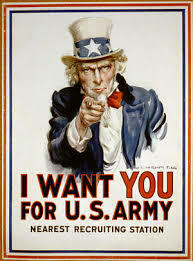 TUESDAY It's time to start writing your War of 1812 Argument Essay! Your goal is to get paragraphs 1 and 2 done in class so that you just need to write paragraph 3 for homework. WEDNESDAY Your goal is to get paragraphs 4-6 written in class so that you just have to highlight and extract for homework. Be sure to highlight using the ARGUMENT highlight set. THURSDAY Today you'll get to take a break from argument and work on Lesson 4.1 Vocab. Remember to COLOR your pictures and highlight the words in the sentence (last column). Check out the sample pictures below. 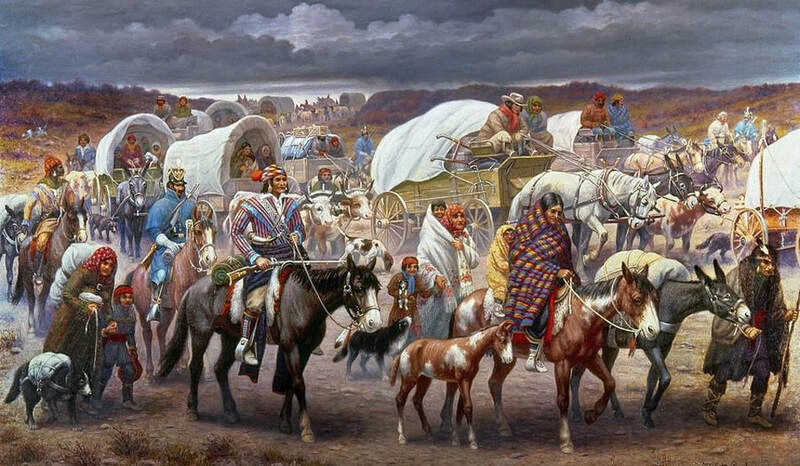 FRIDAY Today we'll start our third argument by reading the background related to Andrew Jackson's Indian Removal Policy. MONDAY Sleep in and watch a documentary about Dr. Martin Luther King and his leadership during the Civil Rights movement. 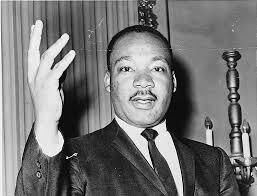 TUESDAY We will watch Dr. Martin Luther King's "I Have A Dream" speech before we dive into writing our Sedition Acts Argument Essay. Our goal will be to finish paragraphs 1-3 together in class using our Template. Be sure to have your Reading and Writing Resources on hand so that you can refer to the section on argument writing. WEDNESDAY Our goal will be to finish paragraphs 4-6 of our Sedition Acts Argument Essay in class so that you will have an entire essay start to finish to refer to as you do the next two argument essays on your own. Tonight, your homework is to highlight your essay using the Argument Set and extract into the CURRENT DOCUMENT. 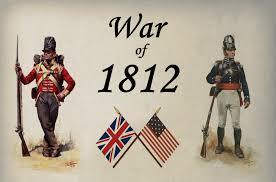 THURSDAY & FRIDAY We'll watch a History Channel video about the War of 1812 and try to figure out if the U.S. Government should have declared war on Great Britain in 1812 or not. You will write down evidence on your War of 1812 Evidence Chart for both sides and then determine which side has the strongest evidence. If you are absent, there are 10 sections on the YouTube version. You can skip sections 5 & 8, but watch the rest and write down notes on your Evidence Chart. MONDAY Today we will go through the Lesson 3.3 Vocab PowerPoint & gain mastery over the definitions through our discussion & completing the Lesson 3.3 Vocab assignment. Below are some sample pictures. TUESDAY Today we will practice evaluating claims and their corresponding evidence by reading two articles that take opposite sides of an argument. WEDNESDAY Over the course of the next three weeks I will walk you through the entire process of evaluating evidence, choosing the strongest side, choosing the strongest evidence, creating an argument essay template and writing an argument. 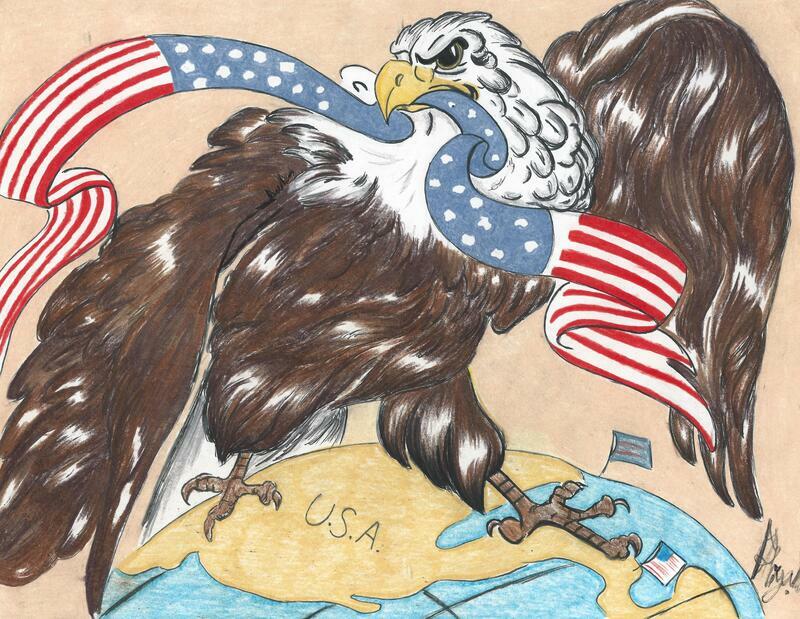 We will complete one full argument essay each week, covering the three most controversial issues of this time period. For our first argument, we'll dissect primary and secondary sources related to the Sedition Acts of 1789, passed by John Adams and the Federalist Congress, to determine whether or not they were Constitutional, choose the side with the strongest evidence and make our arguments! 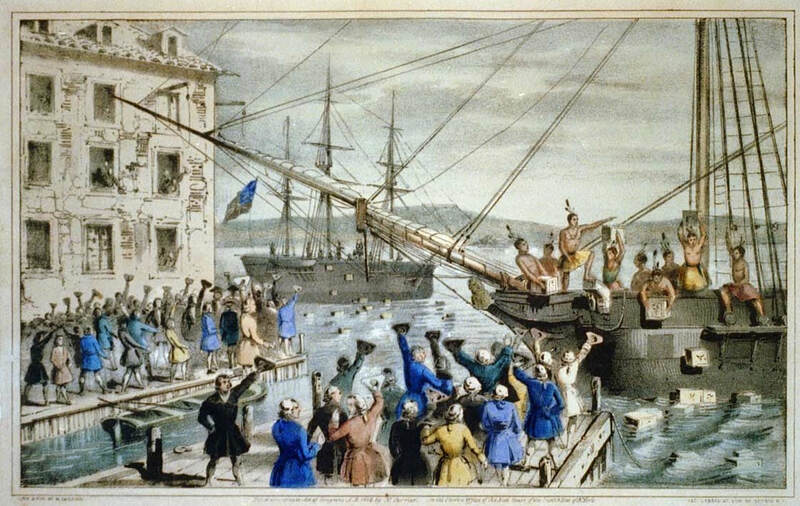 Today, we will read through the sources and highlight the evidence that supports the argument that the Sedition Acts were CONSTITUTIONAL in yellow and evidence to support that they were UNCONSTITUTIONAL in blue. THURSDAY Today we will take the evidence we highlighted from our Sedition Acts sources and put it on the appropriate side of our Evidence Charts.Be sure to write your source down and then bullet-points for all the evidence from that source. FRIDAY We'll figure out which side has the strongest evidence and determine the three STRONGEST pieces of evidence. Then we'll work on our Sedition Acts Argument Template together in class. This is your plan of action and will ensure that you have a solid argument essay with all the essential elements. You'll finish it up for homework. A NEW NATION Our unit for the next few weeks is The New Nation. 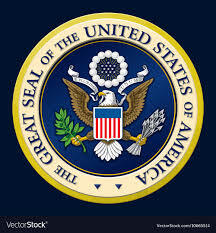 We'll learn all about the first six presidents, the issues they faced and how their decisions helped form the United States as we know it today. Be sure to check out A New Nation Websites, there are lots of helpful videos that will expand your understanding of what we are learning. GRADES Be sure to turn in assignments on time this semester. You can download all of the assignments for this unit from the A New Nation Assignments page. Your participation in end of the year activities such as Knott's Berry Farm, the 8th Grade Dance, Yearbook Signing Day, and Graduation depend on your grades. If you haven't signed up for the Parent Portal, please stop by the office and get the information you need to do so. You are welcome to come and work in my room during field time each day. MONDAY We'll welcome the New Year by reviewing the Bill of Rights Mnemonic and watching the Disney Presidents video about George Washington. You'll complete a circle map with all the important information about him and tomorrow you'll write a short argument using that information. TUESDAY We'll review the key elements of writing a strong argument, complete the frame of reference on our George Washington Circle Maps and write our arguments. WEDNESDAY ​Today we'll complete the Lesson 3.1 Vocabulary. Be sure to write out the entire definition from the textbook, the sentence where the word is used and draw & color a picture that will help you remember the definition. Below are some sample pictures. THURSDAY & FRIDAY You'll use your chrome books to complete the Curriculum Pathways lesson on "Early Foreign Policy." I love the lessons on this website because they are similar to what you have to do on SBAC so it's good practice. Not to mention that there's a ton of great information presented in an interactive format :). It's a win-win! MONDAY Today we'll dive into the Bill of Rights, which are the first 10 amendments to the Constitution, and learn about our rights that are protected by law. TUESDAY We are so fortunate to be able to have three former Huskies come talk to us about their experiences in high school and how their first semester of college is going. They will give you some amazing tips on how to get involved and get good grades to improve your chances of getting accepted to a college of your choice. Eirenne O'Neill was the drum major for Cal High's marching band and managed to graduate with a 4.2 GPA while earning 20 college semester credits for her AP classes. She earned enough in scholarships to pay her $75,000/year tuition at USC and is playing in their marching band (we gotta watch for her on TV next year!). She is a psychology major. Anastajia Lopez is going to Cal Poly San Luis Obispo and is majoring in Communications. She graduated from Cal High with a 3.85 GPA and was very involved in Cal's marching band and several clubs. She has joined a sorority as well as several clubs at Cal Poly and is planning to be an RA next year. Vincent Torres was the clarinet section leader at Cal and was also involved in ASB. He is currently a journalism major at Cal Poly San Luis Obispo. He did an amazing job of encouraging the kids to develop their people skills and be able to work with others. He is a very gifted public speaker ;). Lezlie Guerrero played on Cal's varsity soccer team all 4 years and was a captain her junior and senior year. She graduated with a 4.3 and earned 20 college semester units for her AP classes as well. She received a full-tuition scholarship to play soccer with her sister at Kansas Wesleyan University, which she loves. It was so wonderful to hear how they have overcome their challenges and persevered to accomplish their goals. Go Huskies! WEDNESDAY This is the most interesting day in our Bill of Rights exploration! We'll look at what it is like to live in other countries where people's rights are not protected. We are so fortunate that our Founding Fathers made sure that our rights could not be taken away. Have a wonderful Christmas vacation!!!! MONDAY We'll learn about the Judicial Branch by going through Article 3 of the Constitution and answering our Constitution Questions. Tonight you'll write your Judicial Branch Summary on Google Classroom for homework. 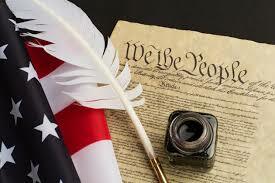 TUESDAY We'll learn about the Constitutional Amendments by answering our Constitution Questions. Tonight you'll write your Amendments Summary for homework. Start studying for Friday's Benchmark by using the Constitution Benchmark Review passed out to you last week or Iliana's Constitution Quizlet. WEDNESDAY ​Today we'll complete the Lesson 2.4 Vocabulary. Be sure to write out the entire definition from the textbook, the sentence where the word is used and draw & color a picture that will help you remember the definition. 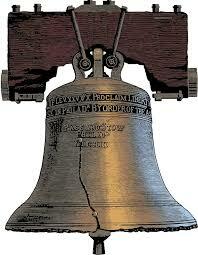 ​THURSDAY We'll play the Review Game to make sure you're ready for the Constitution Benchmark tomorrow. FRIDAY You'll take the Constitution Benchmark today. Remember, we'll be on a short schedule so all of the periods will be 30 minutes long Whew! We did it! MONDAY We'll learn about the Legislative Branch by going through Article 1 of the Constitution and answering our Constitution Questions 1-17. Once we understand the roles and responsibilities of the House of Representatives and Senate, we'll write summaries for both on Google Classroom to cement the key elements in our brains. Remember to practice the Preamble song for our quiz on Wednesday! TUESDAY Today we'll go through our Lesson 2.5 Vocab PPT and discuss each of the terms and then you'll have time to work on Lesson 2.5 Vocabulary. Here are some sample pictures for you. WEDNESDAY Today you'll take your Preamble Quiz where you will write the Preamble from memory. Then we'll learn about the process Congress goes through to pass a law. You'll answer questions 18-24 on your Constitution Questions: Legislative Branch and write a paragraph summarizing the law making process. ​THURSDAY Today we'll learn about the Executive Branch by reading Article 2 of the Constitution and answering our Constitution Questions. After you've gone through the Executive Branch portion of the Constitution, you'll write your summaries about the powers and responsibilities held by the President & Vice President. 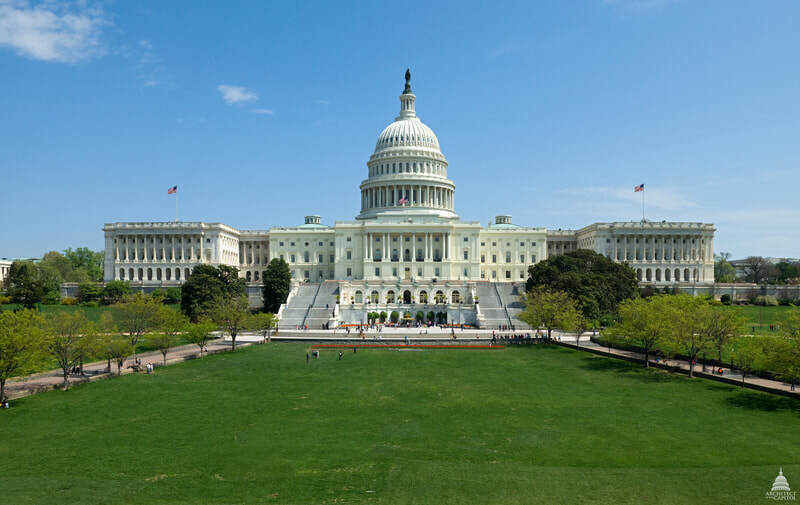 FRIDAY Today we will do a law-making simulation where you will write bills to change things at Hillview and try to get them passed into laws. Super fun! We'll see if we can convince Mr. Alvidrez to make some changes! Today is also the anniversary of Japan's attack on Pearl Harbor. We'll watch a couple of short videos to give you an idea of why this day is so important in American history. 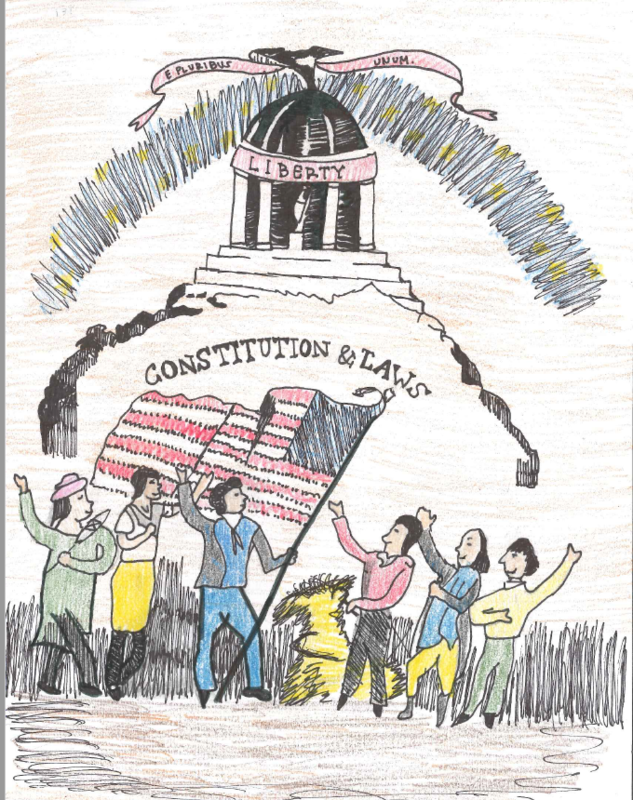 MONDAY Today we launch into our unit on the United States Constitution. My hope is that by the time you head off to Christmas Break you will have a clear understanding of how our government works as well as the guidelines our Founding Fathers established in the Constitution. We'll start off today by learning about the first form of government in the United States, the Articles of Confederation, as well as Shay's Rebellion. After our introduction and Vocab PPT you will work on Lesson 2.1 Vocabulary and Questions. ​TUESDAY Today we'll learn about James Madison, the Father of the Constitution, as well as the important compromises made during the Constitutional Convention. You'll complete Lesson 2.3 Vocab for homework (see the sample pictures below). Be sure to highlight the vocab word in the textbook sentence! ​WEDNESDAY It's Play Time! 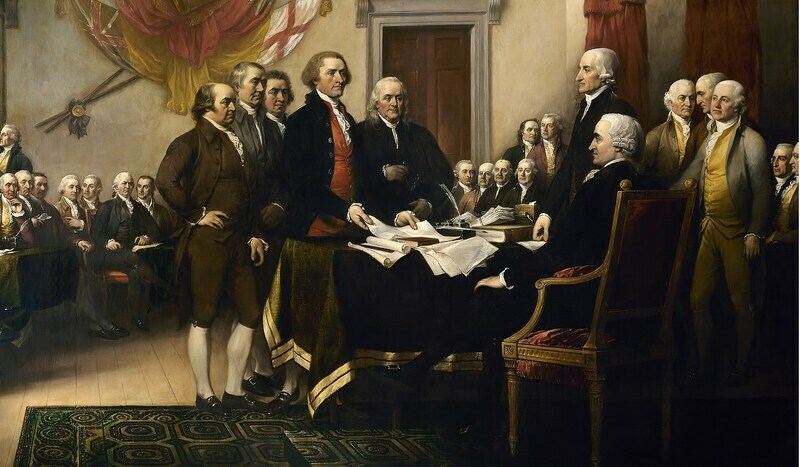 We'll act out a play about the Constitutional Convention so that you'll have a clear idea of who the men were that wrote our Constitution, as well as the major issues that were debated during the long hot summer of 1787. ​THURSDAY Today you will take a Constitution Pre-Test to see what you already know about the highest law in the United States. Then we'll learn about the responsibilities of the three branches of government. We'll also start memorizing the Preamble to the Constitution for our quiz next Wednesday. FRIDAY Today we will dissect the Preamble to the Constitution to make sure we understand the purpose of the Constitution. Then you will re-write the Preamble in your own words. Remember to practice the Preamble song in preparation for our Preamble Quiz next Wednesday. MONDAY Sleep in and thank a Veteran for their service! TUESDAY We'll start class off by learning about the background of Veterans Day. Then we'll dive back into The Patriot by playing a quick round of Kahoot to see how much you remember about the portion of the movie we watched on Friday. After that, we'll continue watching The Patriot and take notes on important aspects of the American Revolution as well as daily life and warfare during that time period. 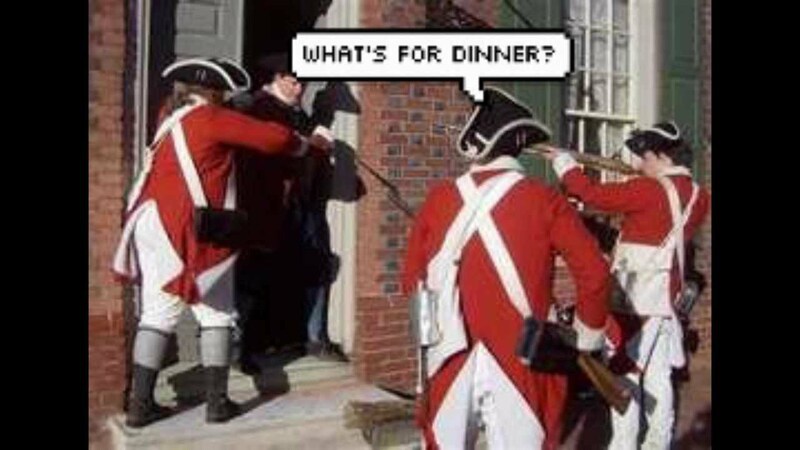 Remember, all missing work for our American Revolution is due THIS FRIDAY. ​WEDNESDAY & THURSDAY We'll continue watching The Patriot and take notes on important aspects of the American Revolution as well as daily life and warfare during that time period. You'll turn your movie notes in at the end of the period. ​FRIDAY Today will analyze various pictures and political cartoons that represent the events on our Road to Revolution Flow Map. With your team, you will decide which event is depicted in each of the pictures and record the evidence that led you to that decision on your "Road to Revolution in Pictures" handout. 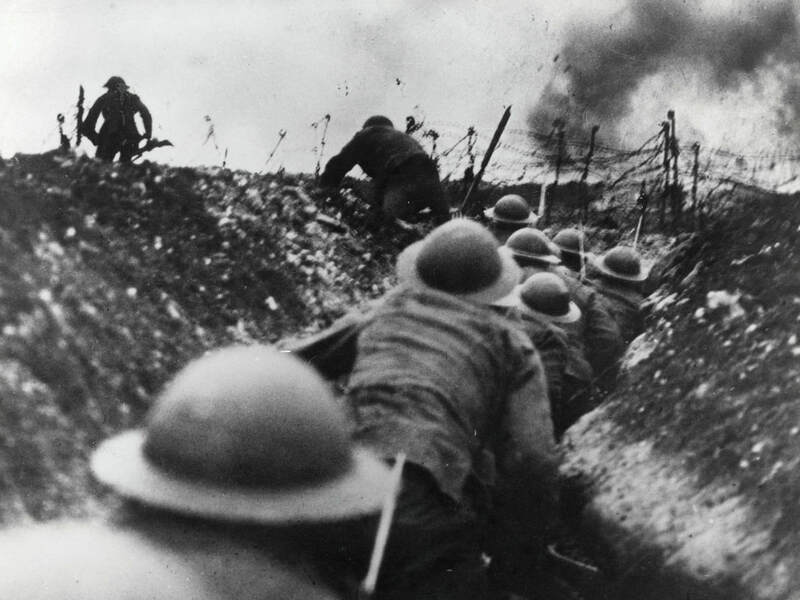 I have given you the date for each picture on your handout, which will help you determine if the picture is a primary source or secondary source. MONDAY Today we'll learn about the actual fighting of the American Revolution, the British surrender at Yorktown & the signing of the Treaty of Paris by completing our Lesson 1.5 Vocabulary and Questions. TUESDAY Today we'll play the Review Game to make sure you are well prepared for tomorrow's benchmark. 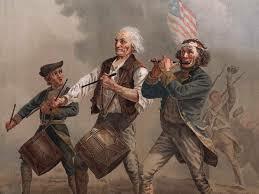 Use your American Revolution Benchmark Review and the three Quizlets so that study like a rock star! WEDNESDAY Today we'll do a little more review via video! Gonna be good times, folks! THURSDAY BENCHMARK TIME! You'll show what you know on our unit benchmark. When you're finished you'll make sure all missing assignments are completed. FRIDAY Today we get to dive into an edited version of the Patriot! You are going to love it :). 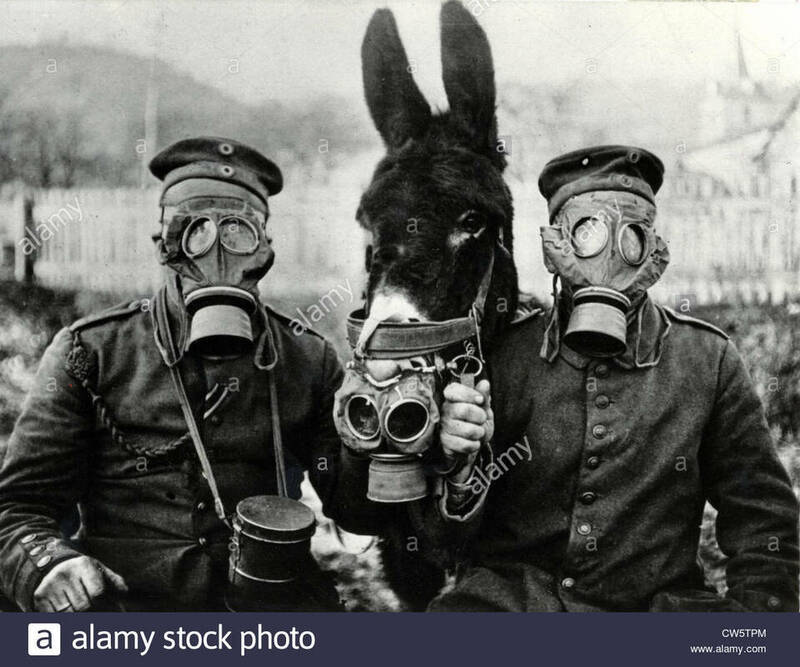 At the end you will have a great visual picture of how people lived, the difficult decision of being a Patriot or Loyalist, and how wars were fought during this time period. MONDAY Today we will go through the Lesson 1.4 Vocabulary PowerPoint and then you will complete the Lesson 1.4 Vocab & Questions. 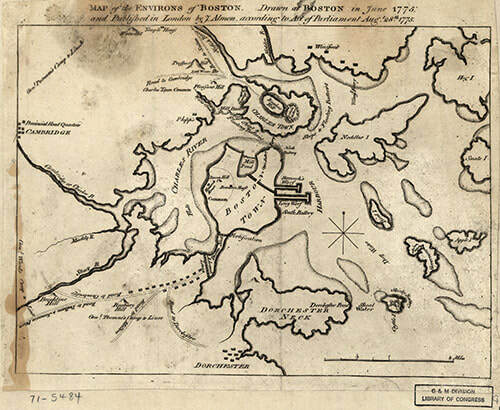 TUESDAY Today we're going to experience the Battle of Bunker Hill on our animated website and record what we learn! Then you'll use the Road to Revolution Quizlet to prepare for next Thursday's benchmark. 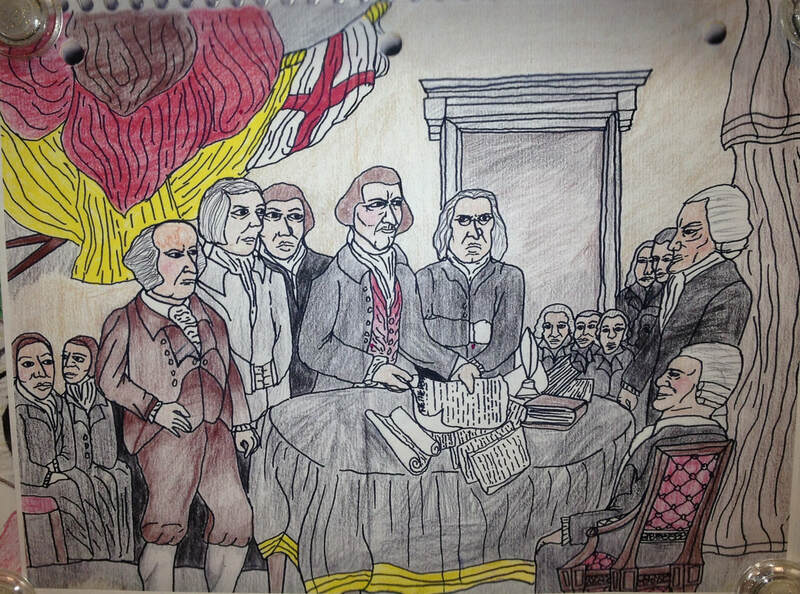 ​WEDNESDAY We'll dissect the Declaration of Independence & figure out the meaning of the most important sections. Then we'll re-write those sections so that a third grader can understand what Thomas Jefferson was trying to communicate. THURSDAY NO SCHOOL! Enjoy you're day off and try to get some missing assignments finished! You can also start getting ready for next Thursday's benchmark by using the American Revolution Benchmark Review. Here are the Quizlet links for vocabulary and the Road to Revolution Flow Map. FRIDAY We'll watch America The Story of Us Revolution and take notes on the key information that will help us understand how the American Revolution unfolded. MONDAY It's play time! 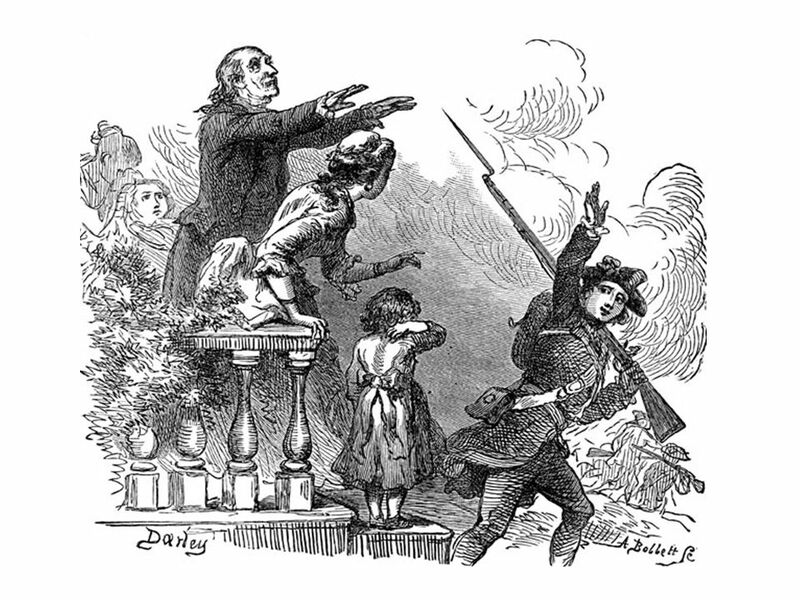 Today we get to act out the Boston Massacre Play and determine whether or not it truly was a "massacre." 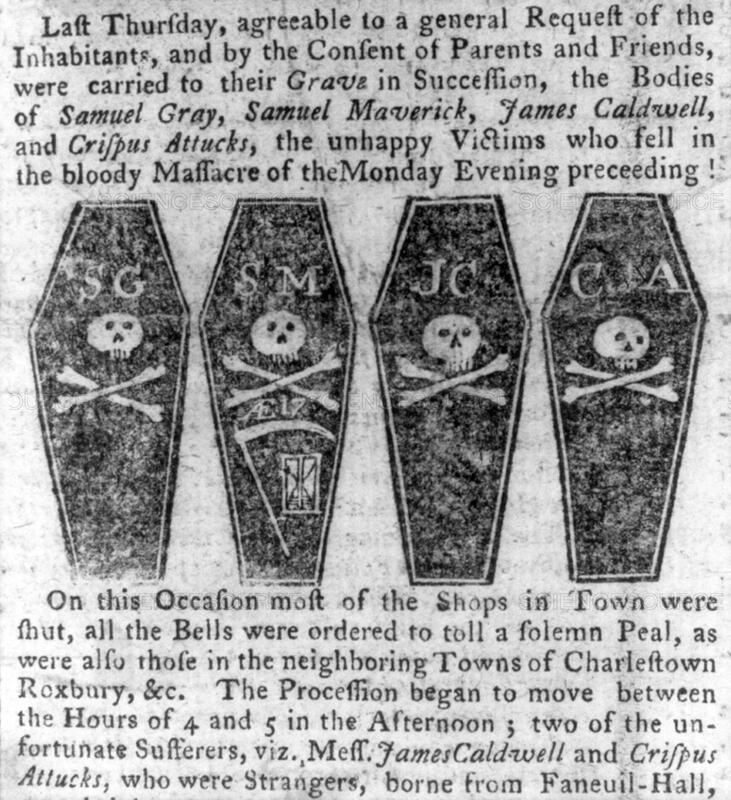 Watch out for those murderous red coats! 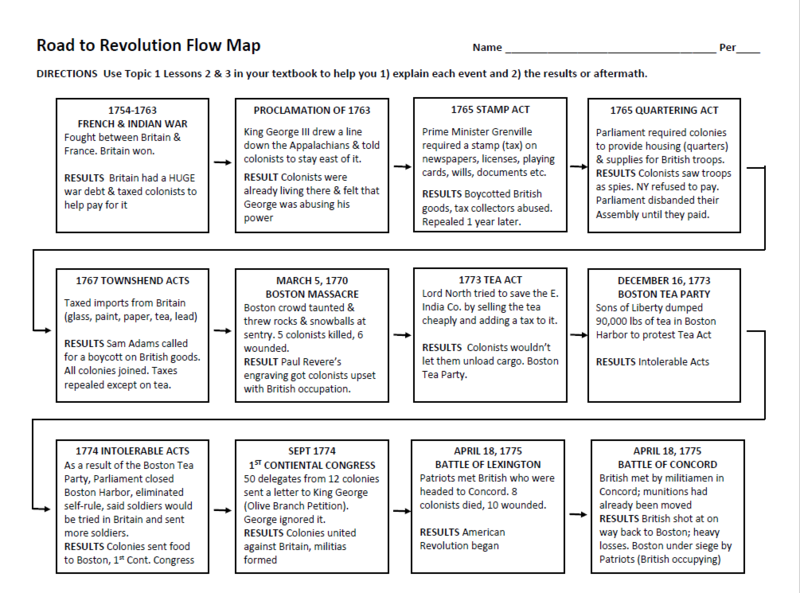 TUESDAY Today we'll focus on the events that led up the American Revolution and complete our Road to Revolution Flow Map. THURSDAY Today we have a guest teacher, Mrs. Murillo, who will guide us through how to evaluate primary sources to help us figure out who fired the first shots at Lexington. FRIDAY Today we'll be dismissed early for SPOOKTACULAR! 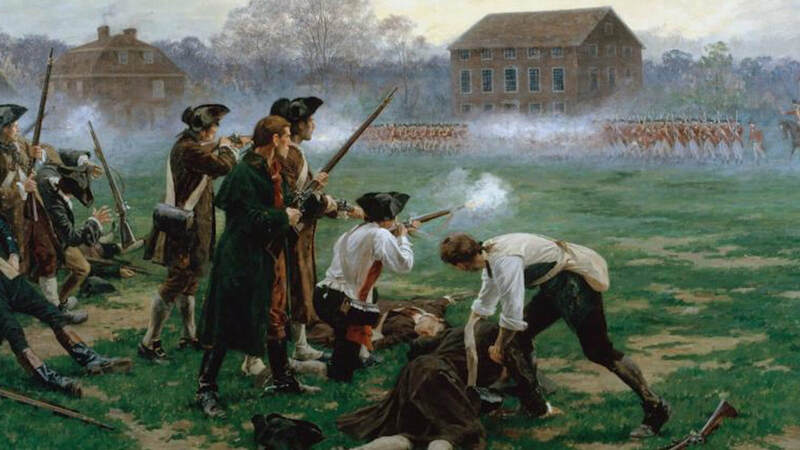 ​In class, we will review the Road to Revolution Flow Map and evaluate the advantages and disadvantages that the Patriots and British faced in fighting the American Revolution. MONDAY Today we will be introduced to a few of the ideas that developed during the Age of Enlightenment (1620s-1800 AD/CE) that fueled the American Revolution and inspired the Founding Fathers. Then we will complete our RT Lesson 4 Vocabulary. 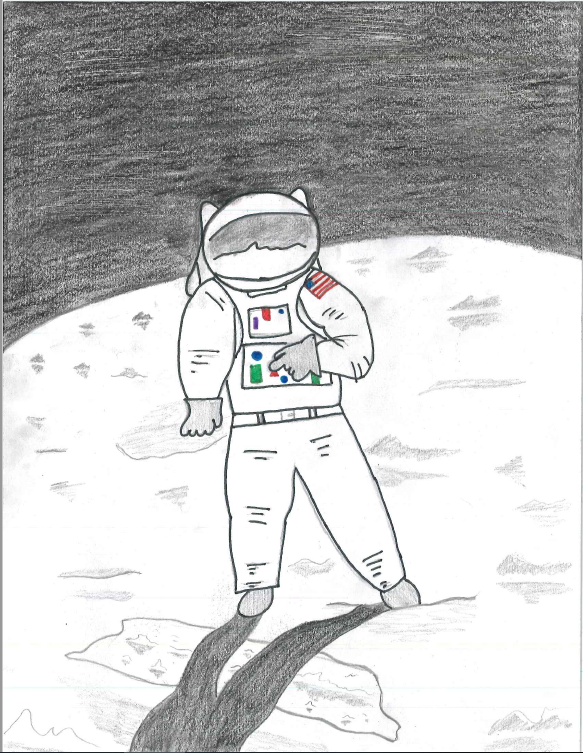 Below are some sample pictures to get you inspired on how to draw your own pictures ;). TUESDAY Today we'll dive deeper into the Age of Enlightenment and become familiar with some of the most influential philosophers of the time by reading RT Lesson 4 and answering questions. This will serve as the foundation for our understanding of the ideas that led to both the American Revolution and the Constitution. 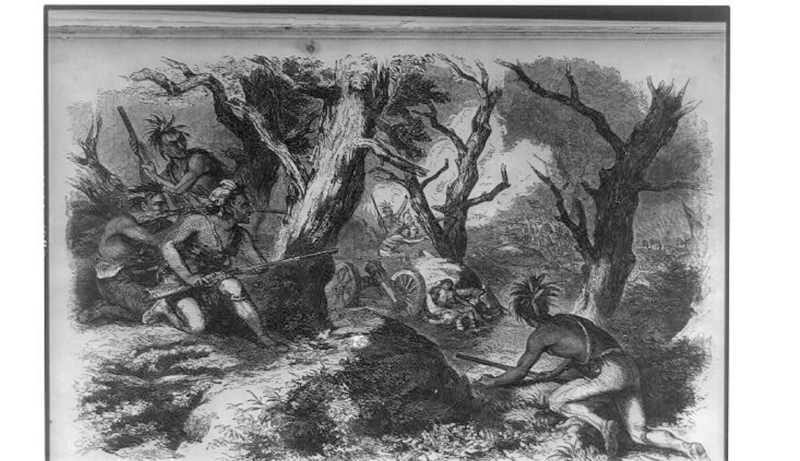 WEDNESDAY Today we will explore some of the issues that developed after the French and Indian War that led to frustration among the colonists. We will read and take notes Lesson 1.2 and complete the vocabulary definitions for that lesson. 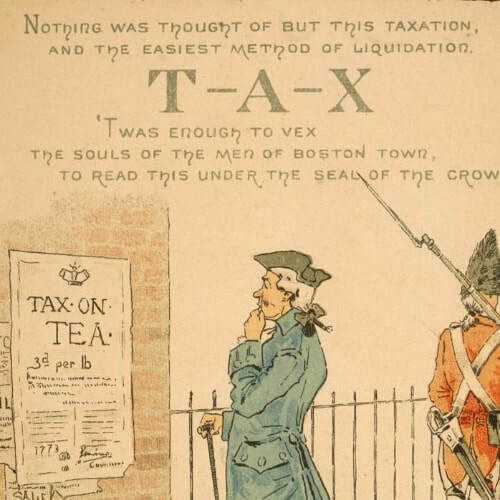 THURSDAY We'll research the British views and the Colonists' views on the taxes passed on the colonies after the French and Indian War. Our job is to record our sources accurately, take notes IN OUR OWN WORDS on the most important information, and write a summary answering the Essential Questions. We'll do most of these two assignments together to make sure you understand the process, and then you'll finish them up for homework. FRIDAY Today we'll take a quiz on the Enlightenment (RT Lesson 4 Vocab & RT Lesson 4 Questions). Then we'll watch America: Story of Us REBELS and take notes on the important topics that led up to the American Revolution. If you were absent, you can watch the video below. Start it at 18:50 (we already watched the first 18 minutes during our Colonization Unit) and take notes on this form America Story of Us REBELS Movie Notes. MONDAY Sleep in and finish missing work. 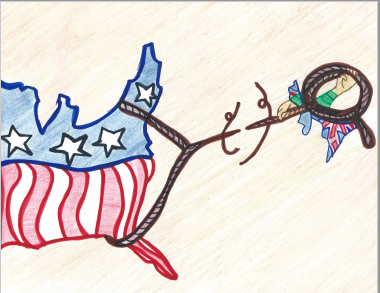 This Friday is the last day you can turn in assignments for our Colonization Unit. 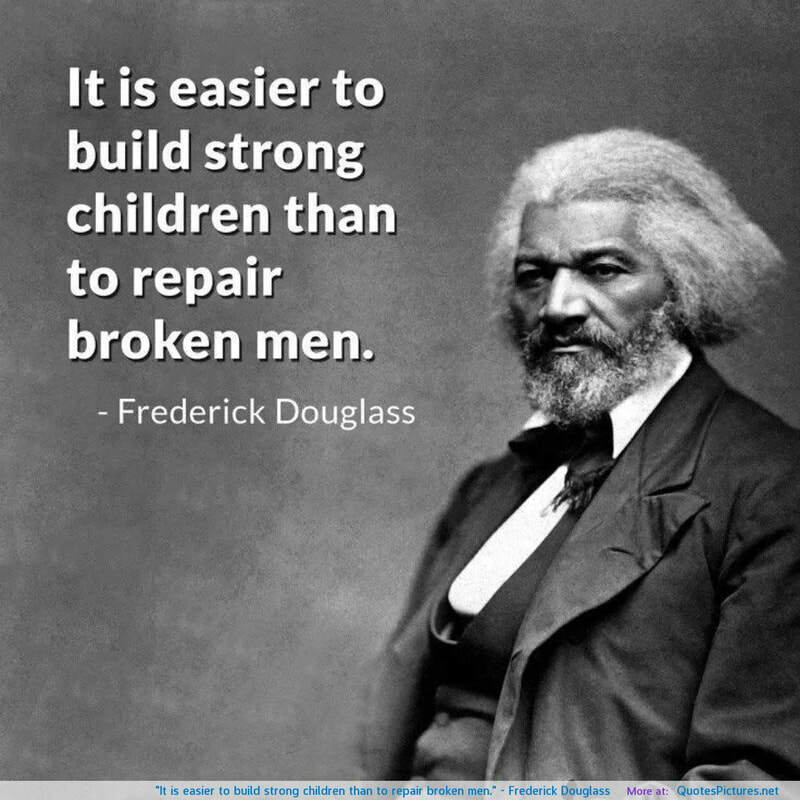 Life to Class Connection: Last week you worked so hard on your Slave Trade Narratives and guess what??? The were amazing! You wrote well organized, factual and moving, essays (good job taking your facts from your sources off your tree maps and creating a plan of action on your flow maps!). When I got home Friday night I read in the news that Melania Trump had visited a slave castle in Ghana last week while you were writing your narratives! How crazy is that?? She said she was very moved by the stories she heard from the docents. 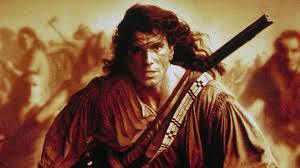 TUESDAY-THURSDAY We'll continue watching Last of the Mohicans! Oh man, it's so good! 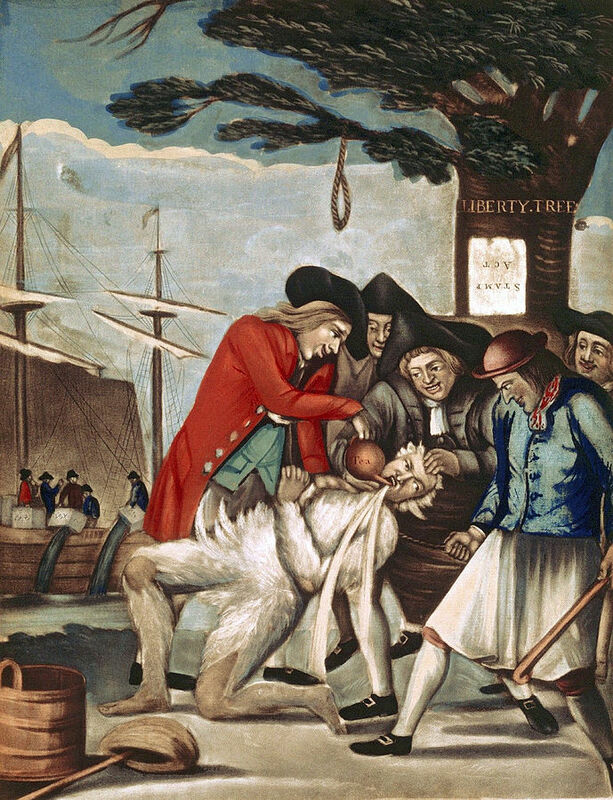 By the end of it, you'll have a clear picture of what life was like in Colonial America. 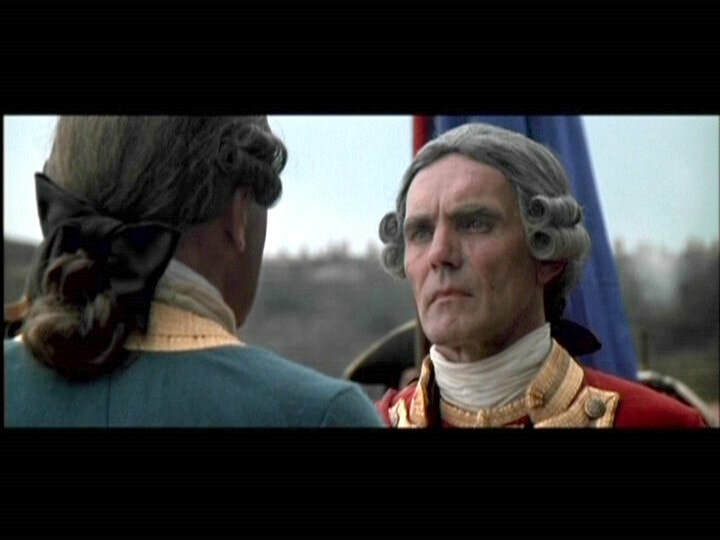 This movie does a great job of depicting the deteriorating relationship between the colonists and the British during the French and Indian War. This will be a great transition from our unit on Colonization to our unit on the American Revolution. 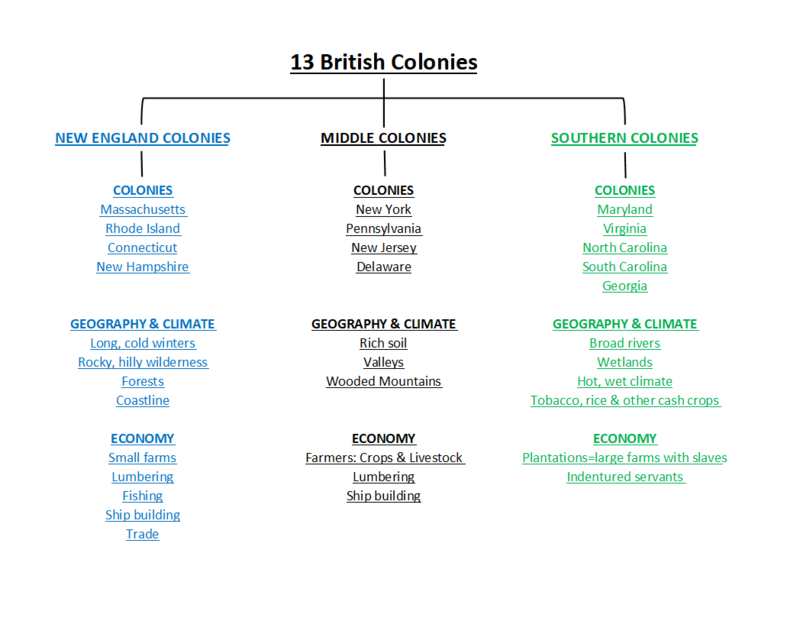 Remember to study for Thursday's 13 Colonies Quiz (click here to use the online game to help you prepare ;). ​FRIDAY Today we will recap essential themes we have covered in our Colonization Unit using a few Thinking Maps. 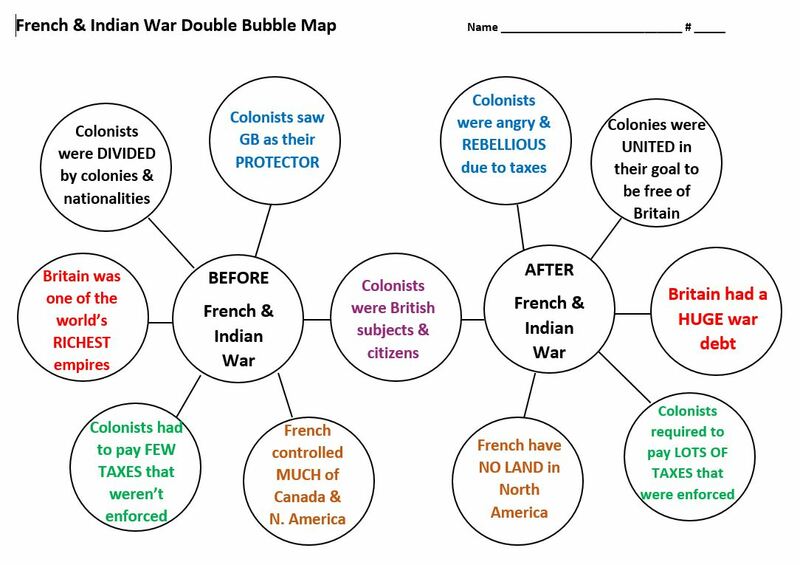 Then we'll make a double-bubble to compare and contrast the colonists' attitudes toward the British before and after the French & Indian War. 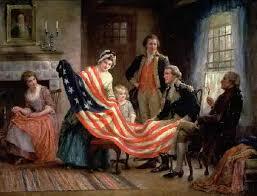 On Monday we'll launch into our unit on the American Revolution! Narrative: Write narratives to develop real or imagined experiences or events using effective technique, well-chosen details, and well-structured event sequences. ​​MONDAY Today we begin our year-long quest to understand slavery in American history. For each unit we cover this year, slavery will play a critical role in how events developed and eventually played out. In order to begin our journey, we'll learn about the African slave trade by reading Slave Trade: the African Connection, which is a primary source. From this source you will get ideas for how to plan out your Slave Trade Narrative. Then we will watch an edited clip from Amistad, a true story, which depicts the capture, transport to the coast, sale to Europeans and the "Middle Passage" across the Atlantic Ocean. We will record everything we learn on our Slave Trade Tree Map to make sure we have plenty of information to work with when we start writing our narratives tomorrow. Your homework for tonight will be to fill in your Slave Trade Narrative Flow Map with details and ideas that you want to include in your narrative. ​TUESDAY Then you'll have the rest of the period to start writing paragraphs 1 and 2 for homework. Be sure to refer to pages 67-70 in your Reading & Writing Resources so that you will have vivid descriptions. Check Google Classroom for African Names to use in your narrative, as well as Slave Trade Sample Hooks & Cliffhangers. WEDNESDAY You'll have most of the period to write paragraphs 3-4 in class using your Slave Trade Flow Map. What you don't finish in class you'll complete for homework. THURSDAY Today we'll watch a short video that depicts a slave auction and then you will work on paragraphs 5 & 6 of your narrative, using your Slave Trade Flow Map. When you're done, use the Historical Narrative highlight set to highlight your essay. Extract your highlights by color into the current document. FRIDAY First, you'll have five minutes to read your narrative to your partner and complete the narrative checklist. Then you'll turn in your Slave Trade Narrative. 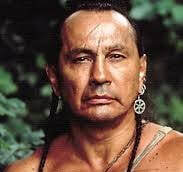 Then we'll go through a quick PowerPoint Presentation on teh French & Indian War before we start watching Last of the Mohicans. I can't wait! 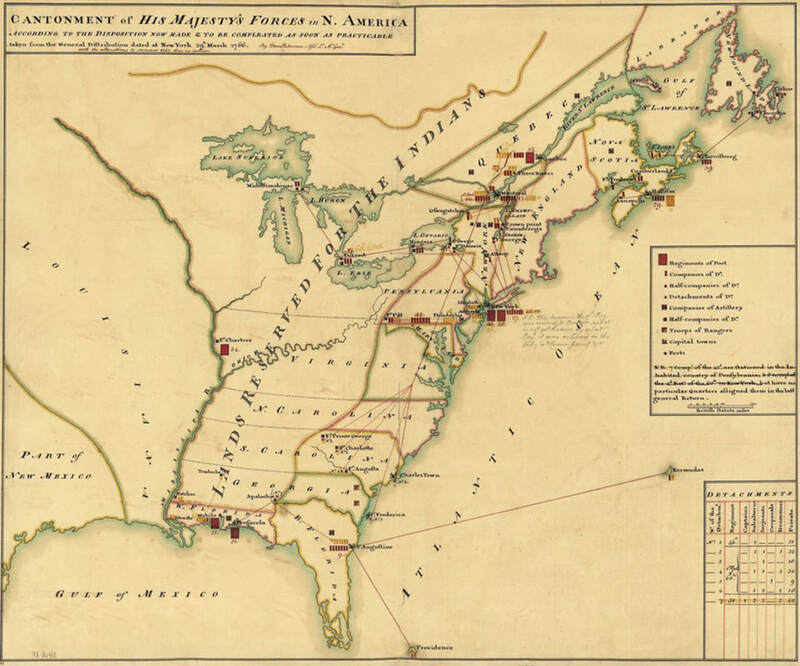 ​Study your 13 Colonies Map for our quiz next THURSDAY! ​PLYMOUTH, ENGLAND Check it out! I spent the summer of 2005 in Plymouth, England! No joke! I was there taking classes for my master's program through Michigan State University. We lived in Pilgrim Hall at Plymouth University, how funny is that? It was crazy to think that we were at the very spot where the Mayflower and Speedwell set sail from. Below are some of my pictures. The statue is of Sir Francis Drake, who set sail from Plymouth to meet the Spanish Armada in 1588. MONDAY ​We're riding the Mayflower today, but only half of us will survive the first winter! We'll use the Mayflower Information and Mayflower Deconstructed Movie Notes to help us plan out our narrative on the Mayflower Flow Map. Then you'll complete your Mayflower Planning Guide to provide historical details and structure for your narrative. You can find the Mayflower Passenger List and Mayflower Narrative Examples of Hooks & Takeaways on Google Classroom. ​TUESDAY Today we will watch the Mayflower section of America Story of Us in order to get a visual on what life was like for the Pilgrims. Then we'll start writing the first two paragraphs of our narrative. ​WEDNESDAY We'll do a mini-lesson on elaboration and then dive into paragraphs 3 and 4 of our Mayflower Narrative. 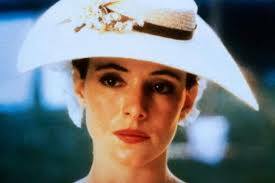 THURSDAY Today we'll do a mini-lesson on bringing emotion into our narratives and work on paragraphs 5 and 6. Be sure to use the Highlight Tool and extract your highlights tonight. ​FRIDAY We'll peer edit our narratives, turn them in and complete our 13 Colonies Map. 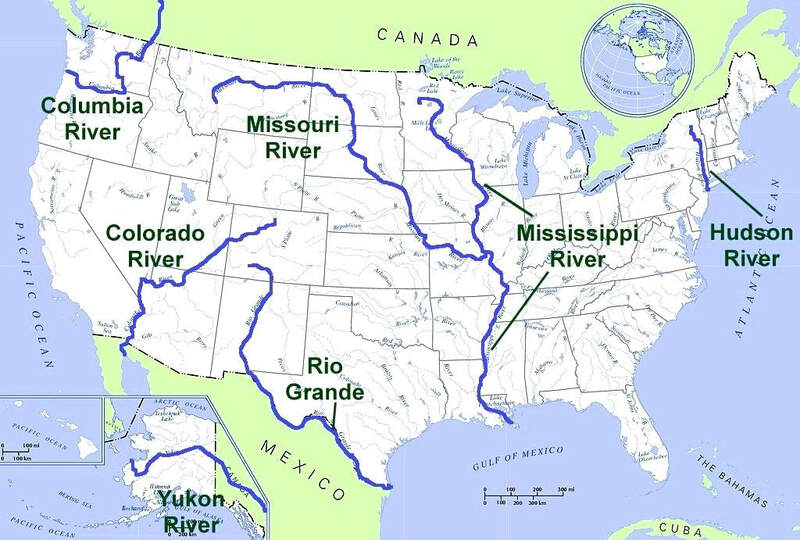 MONDAY Today we'll watch a video called Tour the States, which will give you a great visual on where the states are in relation to each other. 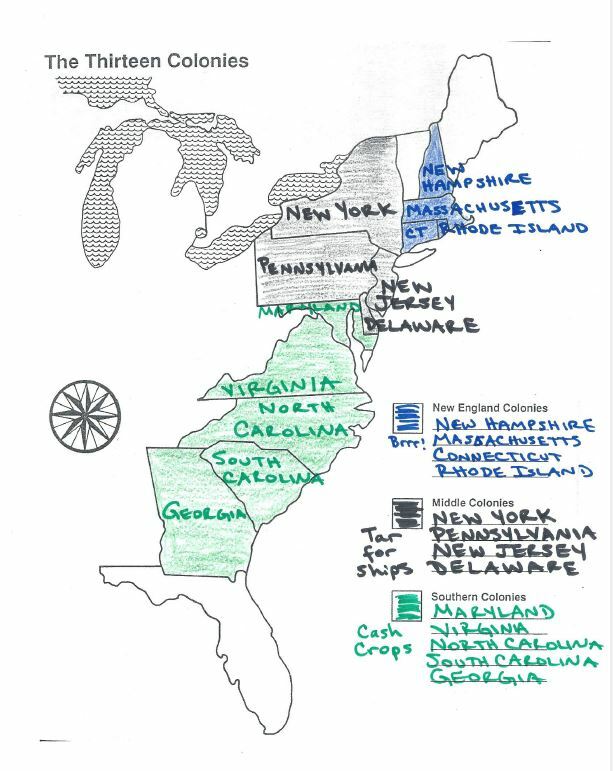 Then you’ll label a political map of the U.S. and label all of the states and capitals. This will prove very helpful to you as we learn about each state being added to the Union. Study for tomorrow's U.S. Physical Map Quiz! TUESDAY You'll take the U.S. Physical Map Quiz and then you will color your political maps. Your goal is to lock the shapes of the states and their position on the map in your brain as you color. WEDNESDAY Mrs. Pearson and I will be at the District Office today and tomorrow to attend a training on using Thinking Maps for narrative writing! I'm so excited! Today you will watch a short video about Britain's first permanent settlement in the New World, Jamestown, and then work on your Colonization Vocabulary. 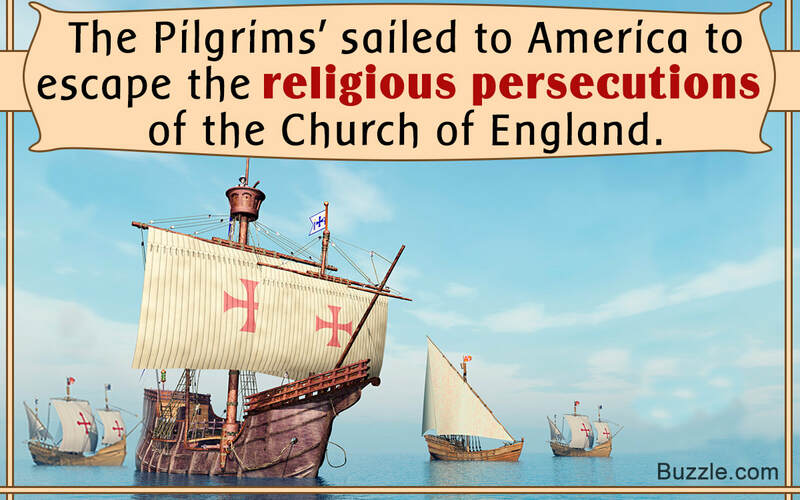 ​THURSDAY Today you'll learn about the treacherous journey of the Mayflower by taking notes on Deconstructing History: Mayflower and highlighting your Mayflower Information sheet. Then you'll start your Mayflower Planning Guide using information from both sources to provide historical details and structure for your narrative. FRIDAY Parent-Teacher Conferences all day! You can sleep in, but please come to conferences with your parents. Explanatory: Write informative/explanatory texts, including the narration of historical events, scientific procedures/experiments, or technical processes. ​MONDAY Today we'll complete Review Topic Lesson 1 Vocabulary. Robert Marzano, one of the top education researchers, says that increasing your vocabulary is the key to academic success. Your academic success is my #1 priority so vocab development will be a focus for us this year! Study your vocab words, Exploration Begins Pictorial and Spanish Exploration Pictorial for our Test on Wednesday. TUESDAY We'll evaluate primary sources that were written about Christopher Columbus and other early explorers and compare and contrast those accounts with what you learned about them in elementary school. We'll also discuss point of view and the impact and how to discern a writer's point of view in order to determine how they are trying to influence your thinking. Study your vocab words, Exploration Begins Pictorial and Spanish Exploration Pictorial for tomorrow's test. WEDNESDAY We'll take our Exploration Test and play a super fun game about exploration on the iPads. It's so much fun, but we'll also learn a ton about the ships, explorers and what they discovered in the "New World." Your goal is to explore the whole planet without running out of supplies and be able to answer Queen Isabella's questions about your discoveries when you return to Spain. 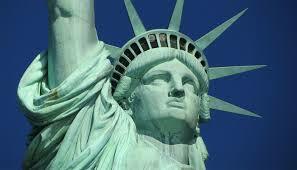 THURSDAY We will begin learning about the physical features of the U.S. and complete a map. You will have a quiz on this map next Tuesday. FRIDAY We will go back to our primary sources and see what they have to say about the British colony at Jamestown. We will compare today's primary source account to yesterday's secondary source and discuss the benefits of each type of source. ​TUESDAY I hope you had a wonderful three-day weekend! Today we'll work on our Exploration Begins Pictorial and learn about how the great Age of Exploration came about in the first place. Be sure to review this tonight so that you can complete the flow map and paragraph tomorrow. THURSDAY You'll read your Exploration Begins Paragraph to your team and get feedback. Then, as a team, you will evaluate former students' paragraphs and decide what they did well and what they still need to improve. 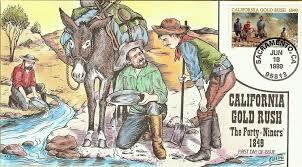 FRIDAY We'll complete our Spanish Exploration Pictorial and begin reading about the some of the famous explorers. As we read, we'll focus on how to decide on what is THE MOST IMPORTANT INFORMATION. EXPLANATORY TEXT On Thursday, we learned the Expository Text Chant. We'll practice it this week and take a quiz on it this Friday. Here's our writing goal for our Exploration Unit: Be able to write a rock solid explanatory paragraphs based on information we've read or seen on video. 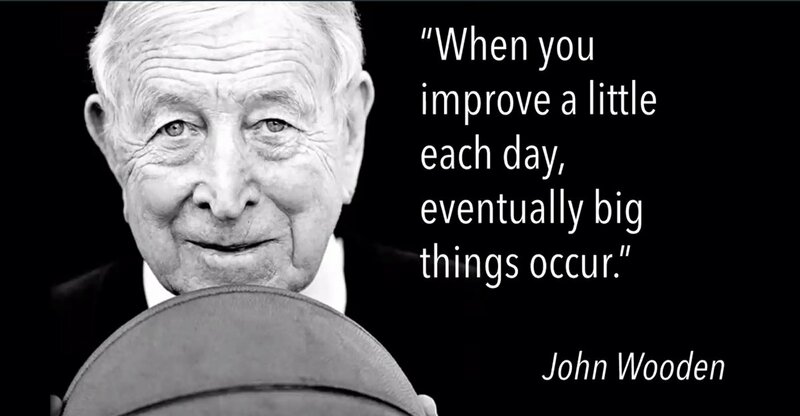 Remember, as UCLA basketball coach John Wooden said, "When you improve a little each day, eventually big things occur...Don't look for the quick, big improvement. Seek the small improvement one day at a time. That's the only way it happens--and when it happens, it lasts." Be sure to use your "Reading & Writing Resources" whenever you have been assigned a writing assignment in any of your classes, but especially for my assignments ;). HISTORY OF THE WORLD IN 2 HOURS This week we will watch 40 minutes of the documentary "History of the World in 2 Hours." 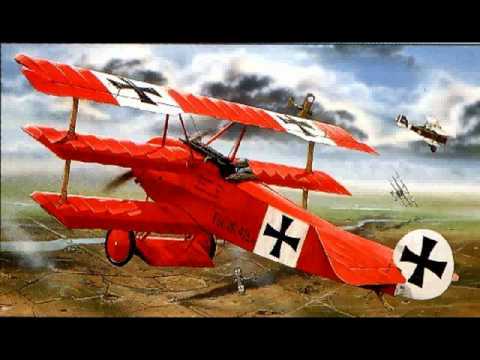 This film provides a great overview of history. It begins with ancient history, which you learned in 6th grade, medieval history, which you learned in 7th grade, and modern history, which we will focus on this year. Each day we will have an essential question, take notes on the portion of the movie that will help us answer that question, and answer the question by writing an explanatory paragraph for homework utilizing our movie notes. If you miss one day of class, be sure to watch the portion you missed online or in my classroom during Field Time. ​MONDAY Today you'll take your Freehand Map Post-Test and show me what a rock star you are! Then you'll fill out the Important Information for Mrs. Redd. Research shows that the better a teacher knows and understands you, the more you will achieve academically. For instance, if a teacher is able to have a student two years in a row, that student will achieve at a level that would compare to a student who had an additional 12 weeks of instruction just because his/her teacher knows him/her better. If a teachers is able to have a student three years in a row, it can add up to an entire additional year of instruction! That’s amazing! In other words, the more I know about you, the greater your achievement will be this year. Let’s get this party started! WEDNESDAY Today you'll work on your Social Studies Title Page. You can draw any picture related to U.S. History as long as it's appropriate ;). It must be beautiful and colored, without any white space left when you're done. Below are some picture options and below that are some sample title pages that students created in previous years. The best ones will go up on the wall! THURSDAY We are starting our year off with Common Core Standard 2: Write informative/explanatory texts. Today we'll review the key elements of writing an explanatory paragraph or essay using our Reading and Writing Resources. In addition, we'll start memorizing the Explanatory Text Chant to help you remember the key components whenever you are reading or writing explanatory text. Next week you'll take a quiz and you'll need to write the Explanatory Text Chant from memory. Start practicing! FRIDAY Today we'll explore our class website and you'll answer questions on Mrs. Redd's Website Treasure Hunt. This website is an amazing resource for you. I hope that you'll spend 15-30 minutes each week exploring the links on the websites page for whatever unit we happen to be covering at the time. 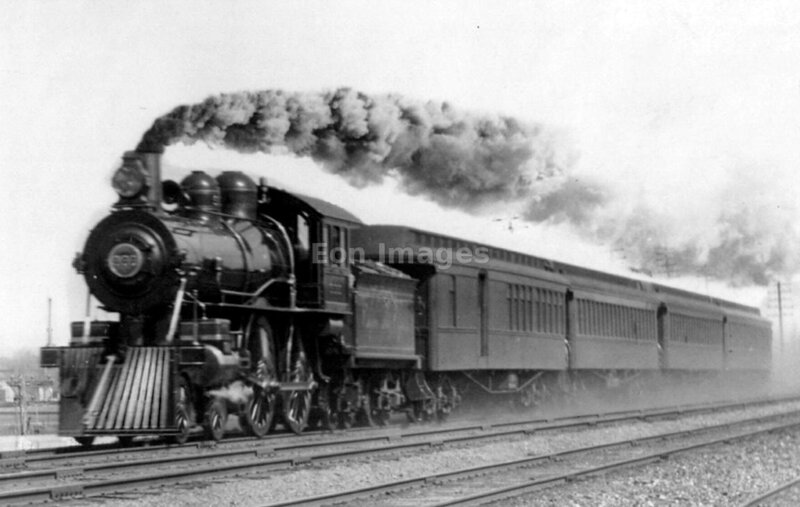 This will help you TREMENDOUSLY in terms of preparation for taking U.S. History or A.P. U.S. History in high school. TUESDAY Today we'll go over what you can expect to experience on our adventure together through U.S. History! Be sure to get your Social Studies Class Guidelines & Movie Permission signed. Also, be sure to have at least one person in your family sign up for Remind. This will allow us to communicate outside of school. I've listed the instructions below. Remind is a simple way for you to stay informed and up-to-date with what’s happening in Social Studies. By joining your Mrs. Redd’s class on Remind, you’re choosing to receive class messages via push notifications, SMS, or email. Don’t worry, your phone number will not be shared with me or anyone else. There are only a few people left who haven't signed up for Remind. If you are one of those, please do so as soon as possible because it will help you tremendously this year :). Students: Be sure to enter your first and last name. This will allow me to send you individual messages about your child. 1. Download the Remind app. It’s free! ​WEDNESDAY Today I'll introduce you to my hopes for this year as well as my class website ;). Then we'll start a quick review of geography. You'll take the Freehand Map Pre-Test to see how much of the world you can draw from memory. Afterwards, I'll walk you through how to lock the map of the world into your brain so that you remember it forever! This is one of my favorite Growth Mindset activities because you will see amazing growth in just a few days!! THURSDAY You'll work on your Freehand Map of the World Using a Source. Here's a sample to give you an idea of what you're shooting for! Our goal is to have a map of the world permanently lodged in our memory for future reference. FRIDAY Today is Game Day! We'll play Kahoot! and then a review game to help you practice for Monday's Freehand Map Post-Test.